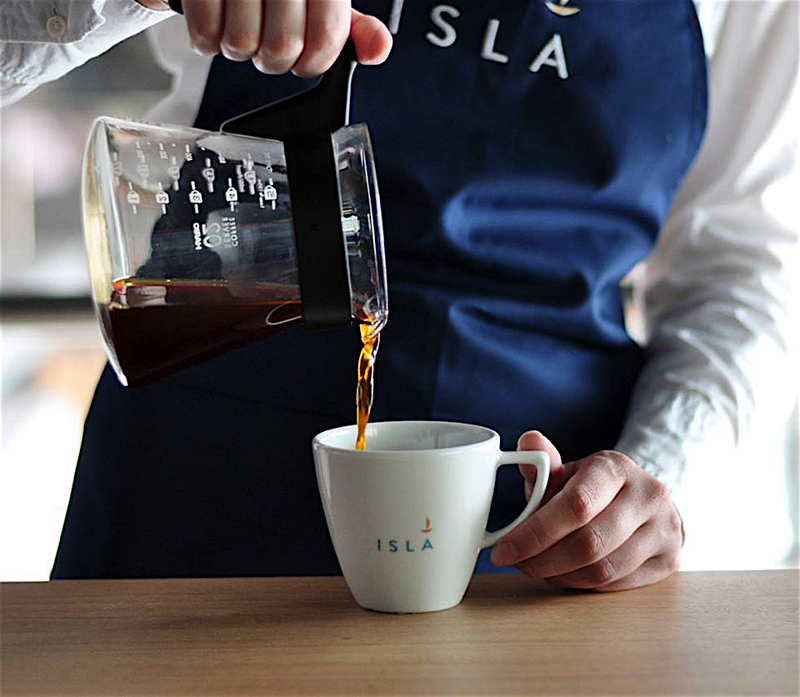 After our premises in Paris, Amsterdam, London, Hong Kong and Kiev we are excited to come to Stockholm ! 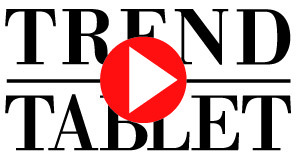 TRENDxCHANGE is a new type of event conducted by Trend Tablet, an inspiring web platform. A major theme is treated to better understand the world in which we will be living tomorrow. 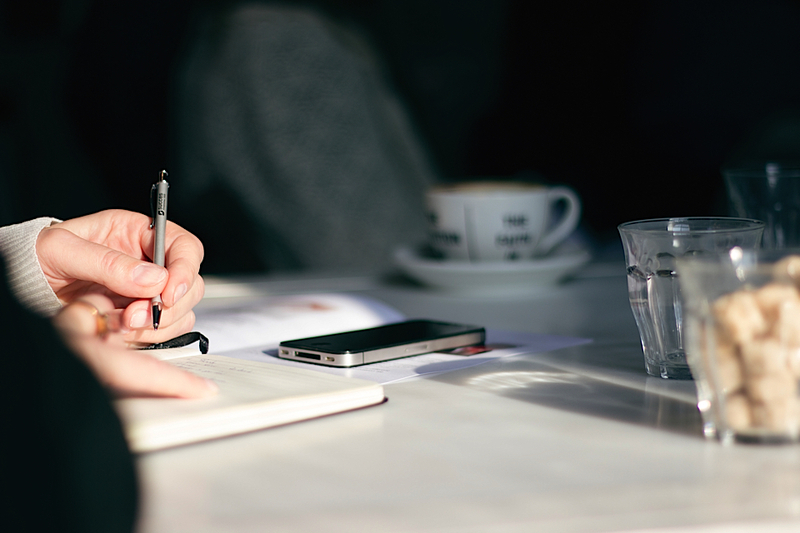 TRENDxCHANGE provide access to brainstorming on major trends, allowing participants to meet entrepreneurs, artists and talented creators, selected with utmost care. The compact, dynamic format is voluntary including, of course, a moment for networking at the end of the event. "Food Future" is the first theme with which we are dealing. Cecile Poignant - Trend Tablet's editor- shares with you her views on primary food trends linked to feeding and change in behavior. What will be the key foods of tomorrow? Is food a drogue ? 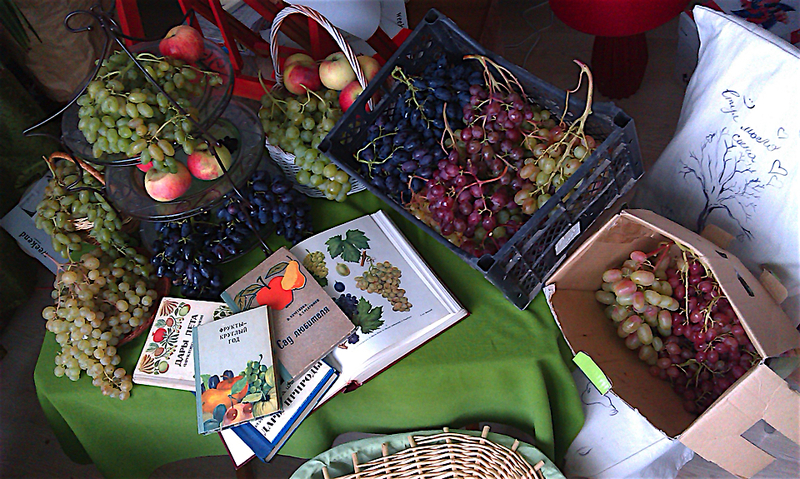 Will we all become « locavores » - consumers of locally grown produce only? TRENDxCHANGE is a modern meeting place where varying points of view will be debated. TRENDxCHANGE on « Food Future » will take place on October 25th at 8.30 am at Alma. TrendXChange will be held in English. 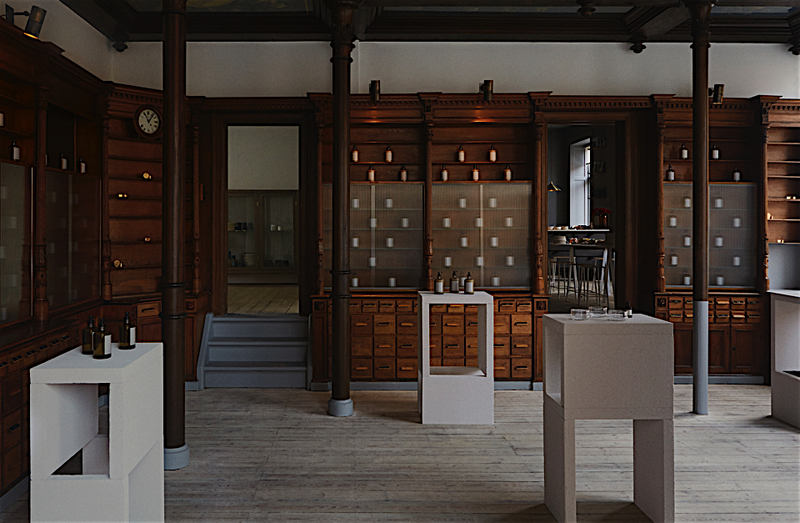 Frama is located at St. Pauls Apotek in central Copenhagen. The store still has the original woodwork and architectural elements from when it used to be a pharmacy in the 1800’s. The kitchen space and different rooms in Frama is characterized as “work in progress” and serves as a retail space and a platform for creative freedom, bearing the stamp of Frama’s aesthetic principles. The space features as a place where people can come together and relations are built by the many gatherings and events that Frama organize from dinner gatherings to book and magazine openings. 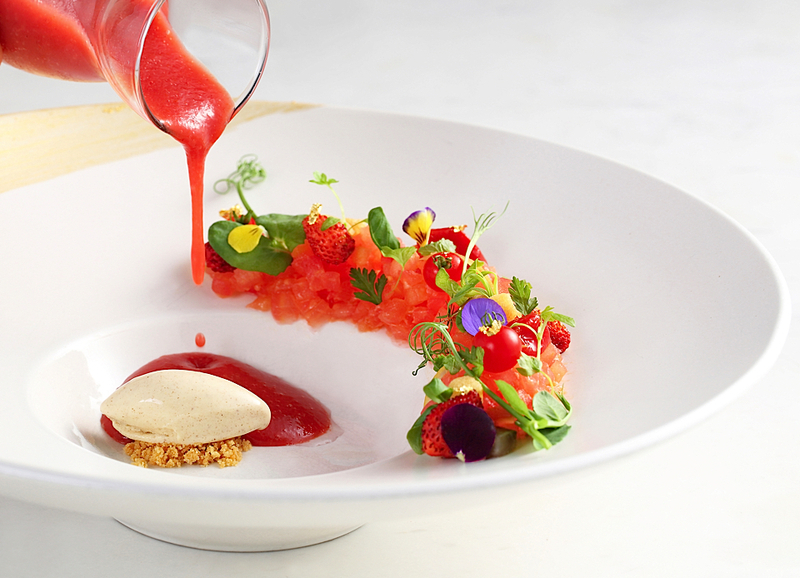 Ever been curious on the forces shaping the culinary scene of tomorrow? Join Trend Tablet and Frama for an exciting and intimate evening! 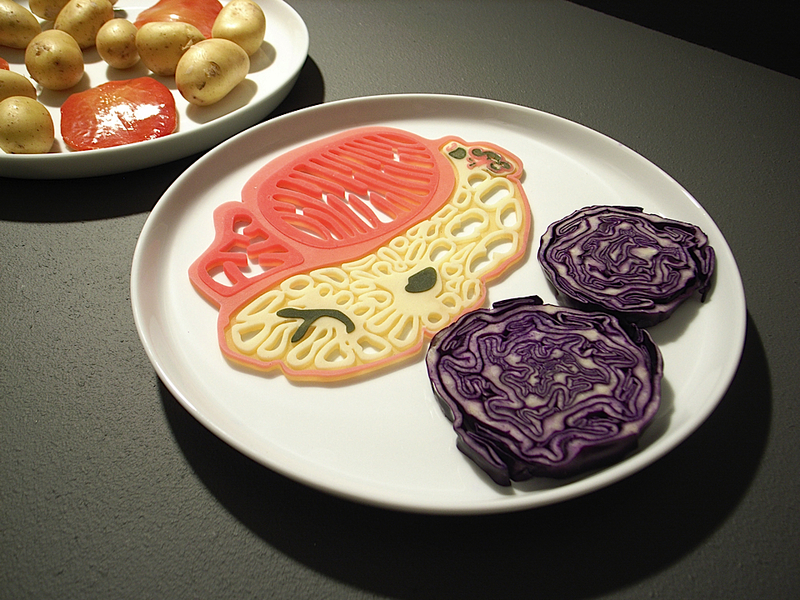 « Food Future » explores four main themes of the future as different paths to explore. Food is a complex and epidermic subject. What we eat is influenced by society, geopolitics, beliefs, history, art, marketing, biology… Eating is not just feeding.It’s about feeling emotions, remembering and also discovering, traveling, sharing…The keynote will be presented by Cecile Poignant - Trend Tablet’s editor. Laura Terp - Co-founder and Creative Director at Oak the Nordic Journal. Oak offers an intelligent perspective on the global resonance of Nordic culture – from art and design, to architecture, travel, food and more. Armando Perez-Cueto - Professor in Food Design and Consumer Behaviour Copenhagen University. His research focus is on food related behaviours, vegetable consumption and how to facilitate healtheir and sustainable food choices. 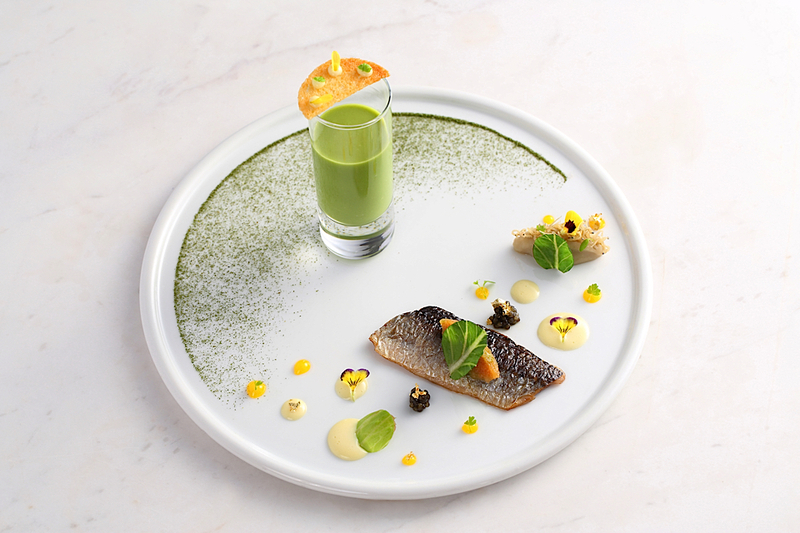 Morten Schou - Renowned Chef and Product Developer at Aarstiderne. is a delivery service that restore the close connection between cultivation of the earth and the joy of meals, full of good ingredients, health and flavors. 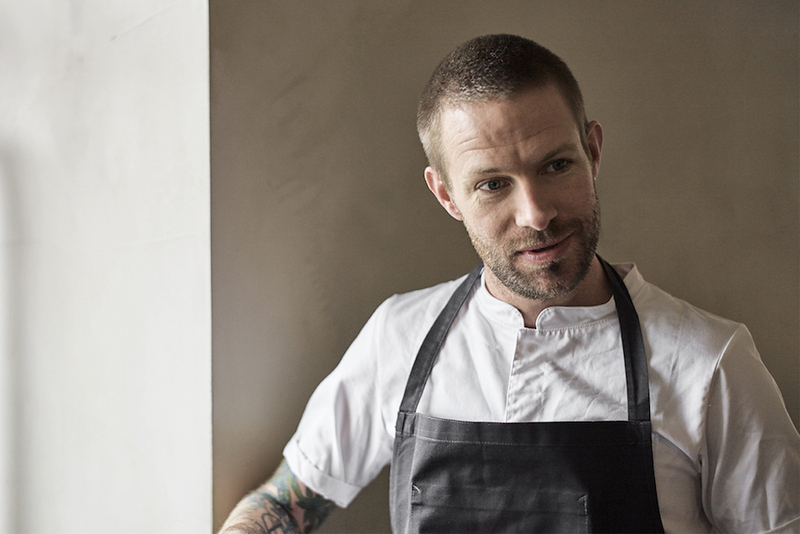 The event will be concluded by a curated dinner from renowned chef Mikkel Karstad - Karstad has worked closely with René Redzepi’s Noma, developing recipes for the restaurant at its Nordic Food Lab. 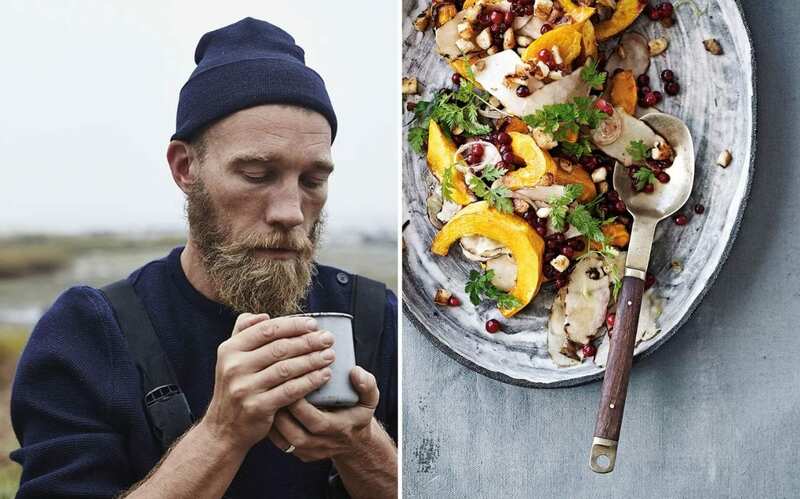 Karstad has now branched out as a food consultant, writer and stylist. Due to limited seating, the event will span two days - 11th and 12th of May - with a similar agenda. Join us on May 11th or 12th , we still have a few sits left! 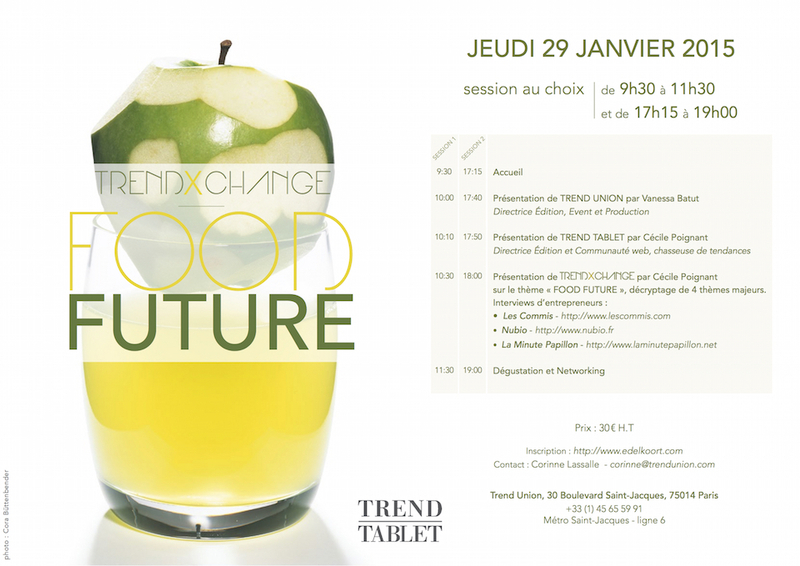 TRENDxCHANGE is a new type of event presented by TREND TABLET. TRENDxCHANGE-editions are inspired by the local area, working with their community to showcase the cities we visit. After a successful launch in London, Paris and Amsterdam, Hong Kong the next stop is Kiev. 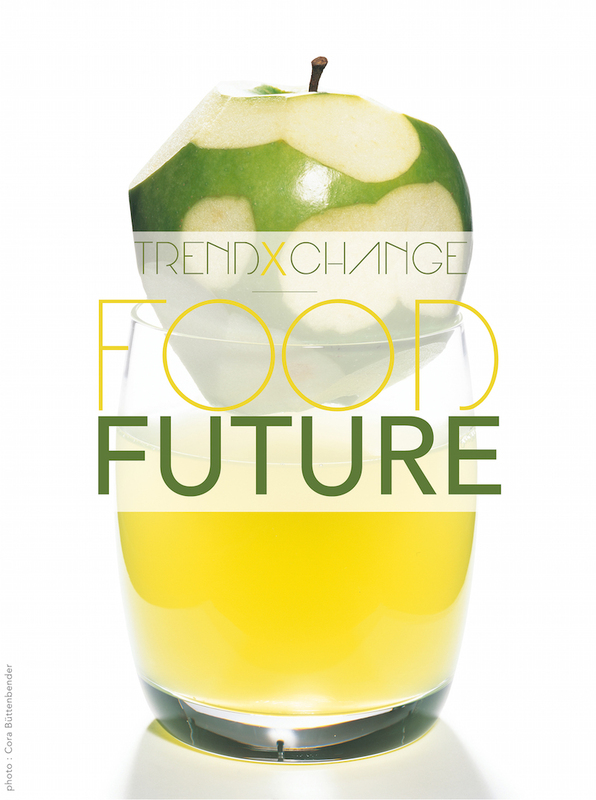 TRENDxCHANGE explores the future of food with experts on the cutting edge of their trade. 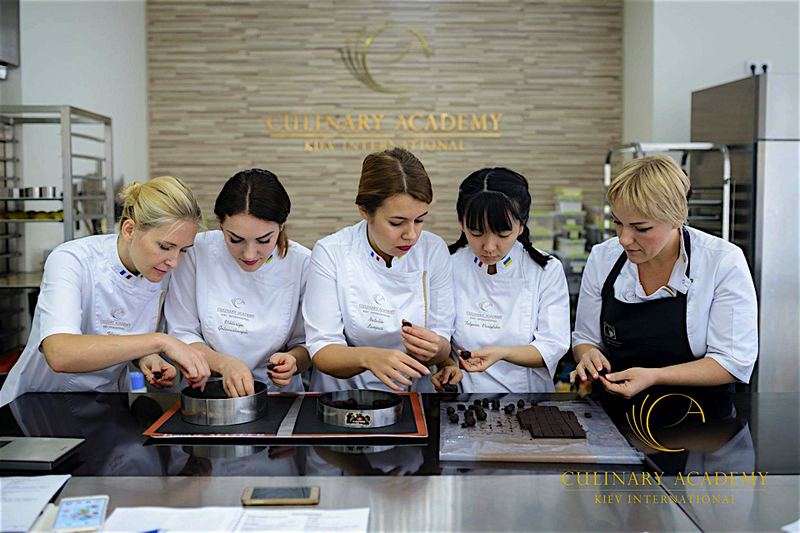 Our editor Cecile Poignant will be in Kiev and will have the pleasure to welcome several guests : Marina Gladkaya, a columnist, journalist, editor in chief of the magazine Ресторатор (Restaurateur), Tetyana Verbytska - Pastry Chef from the Pastry School “Kiev International Culinary Academy” KICA, Vitaly Ivakhov, the founder and owner of Isla, a renowded coffe brand for a thought-provoking presentation, roundtable discussion, drinks gathering, and idea exchange. Food is a complex and wide reaching subject that touches us all profoundly. Eating is not just nourishment. It’s about emotions, memories, discovery, travel, and sharing. What we eat is influenced by society, geopolitics, beliefs, history, art, marketing, and biology. ‘Food Future’ provides insights on major food trends, allowing participants to engage with the subject and uncover new ideas. A chance to share views on primary food trends linked to feeding and changes in behavior. And consider questions such as: What will be the key foods of tomorrow? Is food a drug? Will we all become locavores and vegan? All foodies and design lovers are welcome. We’ll provide the conversation and the snacks —you just bring the brains! We will be in Hong Kong at Hotel ICON for FOOD FUTURE on July 21st. Larry Tang, founder SOHOFAMA, Vicky Lau - Tate Dining Room & Bar chef and owner, Veronica Yu - Eating Concept Designer and Dr Carol Sze Ki Lin, from City University of Hong Kong. Veronica Yu is an eating concept designer. 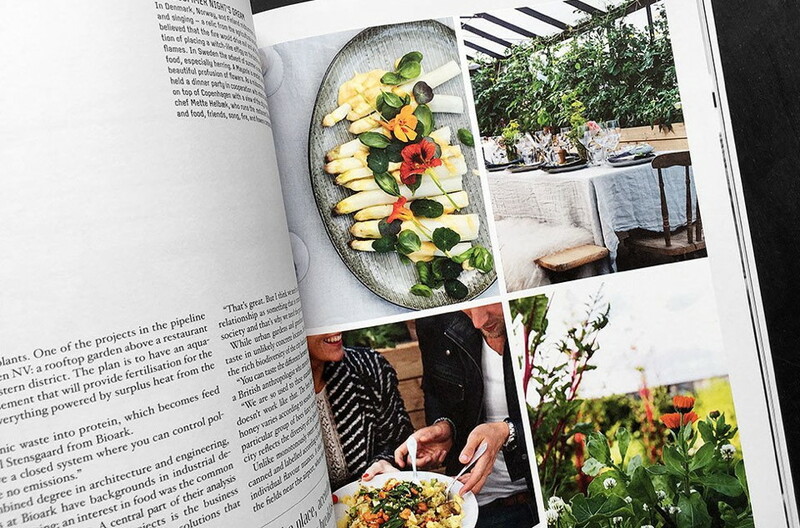 She shares her experiences, memories and stories through the medium of food in her design projects. 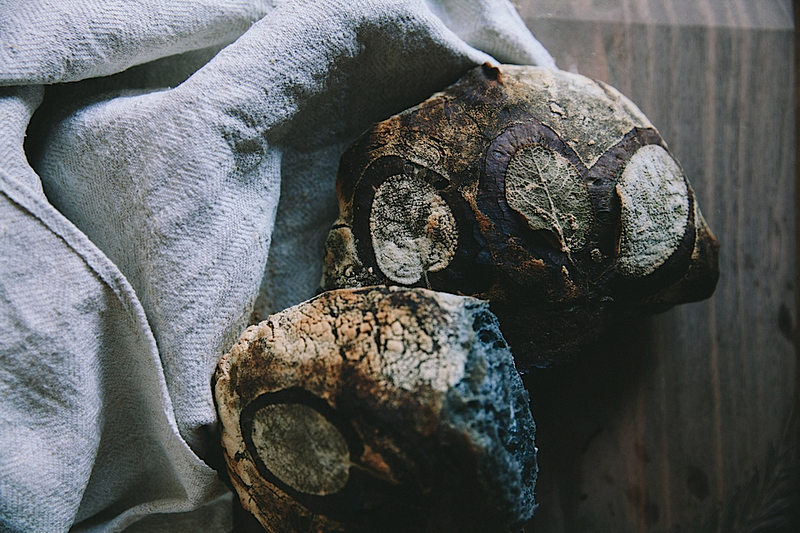 Through the medium of food Yu tells stories because food has the power to touch all our senses and transport each of us to another space, time and location in an indescribable way. There were steps before being an eating concept designer : during her university years in multimedia design program - Yu did a lot exploratory projects in genetically modified foods, biopharmed food and in bottled water brand comparison research. 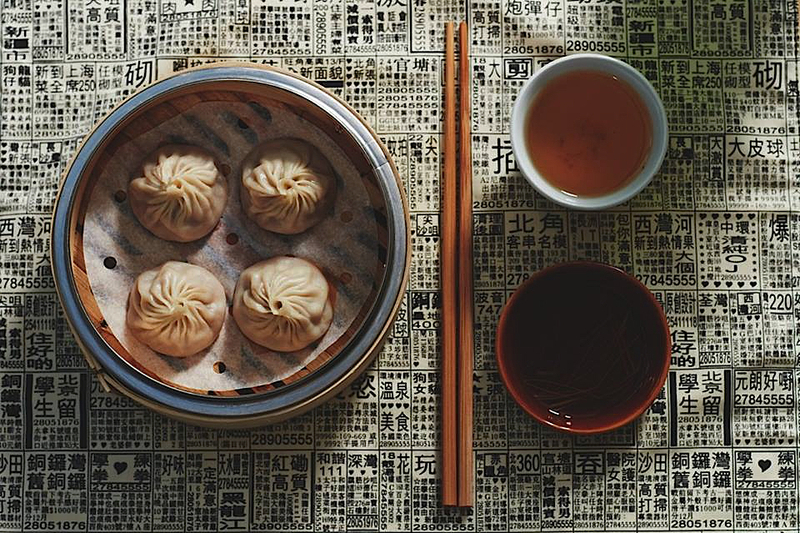 After university, for two years in Vancouver and Beijing she dived into the world of catering to combine a passion for food and for event planning. 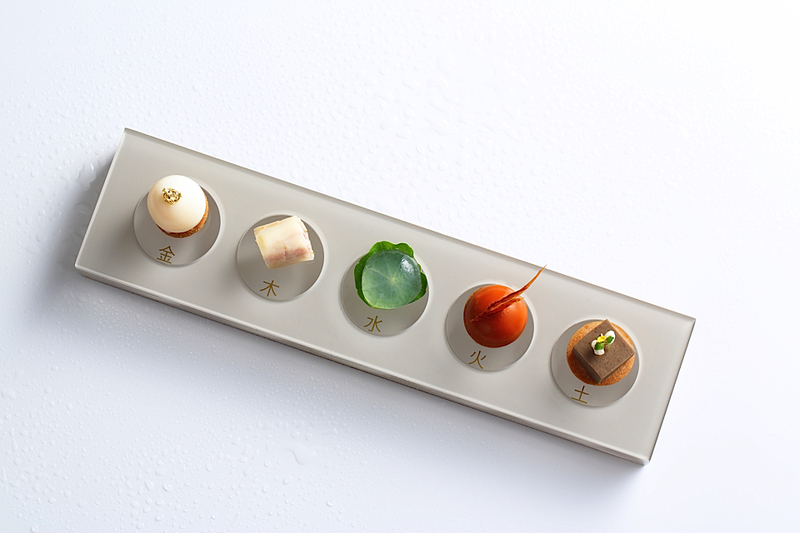 Yu then worked for a multimedia design program, she found great pleasure in creating conceptual design work with food. To explore this interdisciplinary field, she worked as an eating design intern with a Dutch eating designer, Marjie Vogelzang exploring the possibilities in food concept based installation art, catering, restaurant concepts and products. 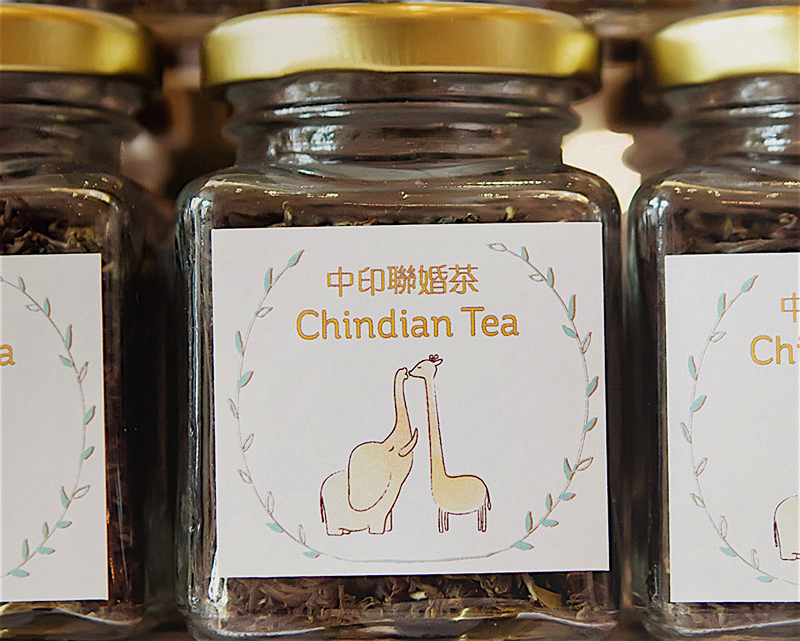 Since 2010, Yu is back in Hong Kong and founded with Constance Tong Candied Fish an eating design collective using the medium of food to tell stories through branding and graphics projects, food products and food and eating experience events. The name Candied Fish came from their Chinese last name, Tong has the same sound as "Candy/Candied" and Yu the same sound as "Fish". Soy sauce, an essential seasoning to Chinese dishes, was developed by Buddhists more than 2,500 years ago to complement their vegetarian diets. Dutch merchants have then brought it back to the kitchens of Sun King XIV in the late 17th century and named it “black gold”. 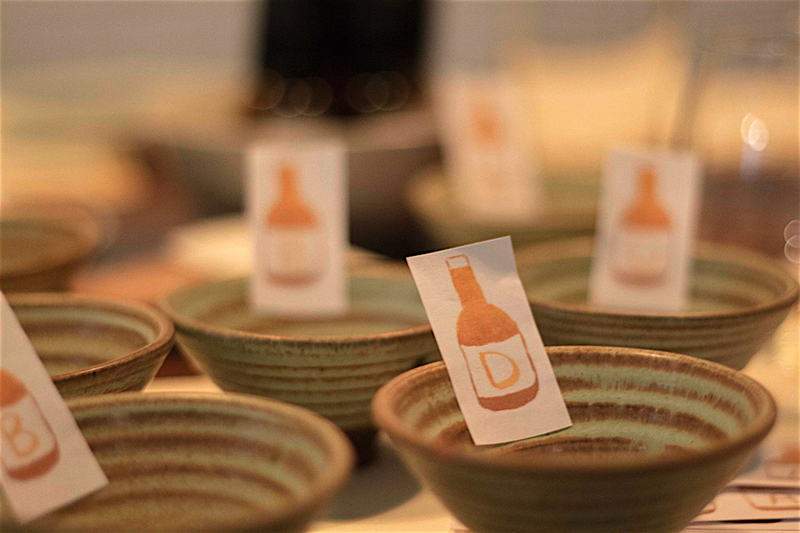 For the Soy Sauce Tasting and Dinner at Plantation (a creative space in Sheung Wan), Candied Fish sourced different artisanal Hong Kong locally brewed soy sauce to experience their smell, colours, taste and aftertaste. They have also invited Yuan’s (頤和園), a premium soy sauce maker and their private kitchen chefs to cook a Chinese soy sauce themed dinner. 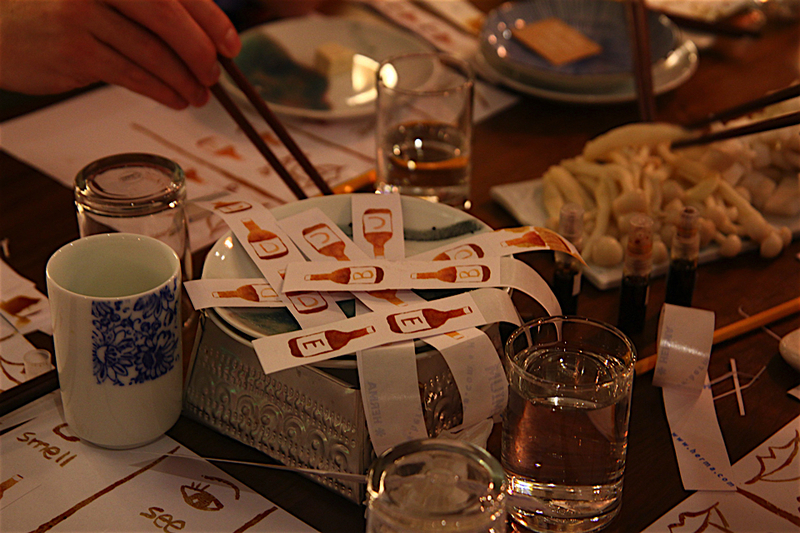 Guests had a lot of fun with the soy sauce spray bottles where they can spray onto fragrance strips and fan it around their nose to smell it. There were a selection of white coloured food for dipping into the soy sauce samples like white mushrooms, tofu and squid. 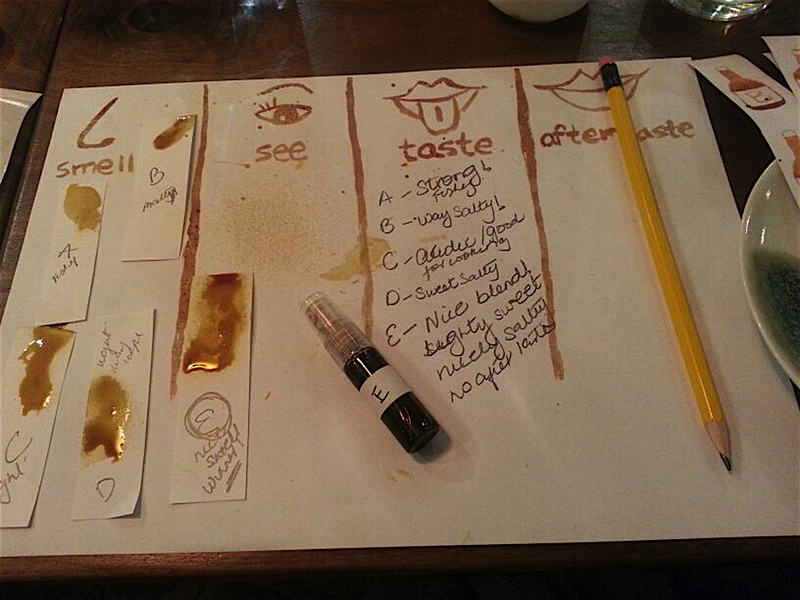 Hand drawn soy sauce placements act as a rating board for everyone, where they can stick different stickers to rate the different types of soy sauce samples. People also wrote many notes to keep track of which one they like the best! Food really got a unique evocative power that Candied Fish is exploring for our greatest pleasure . 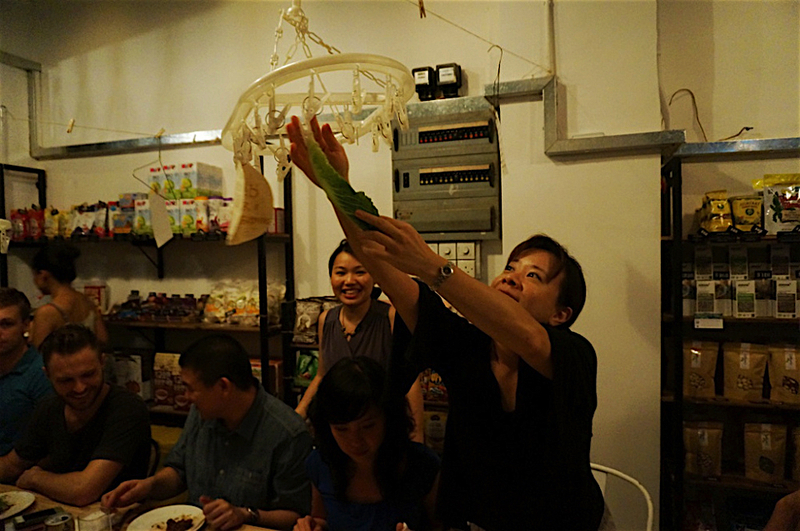 Vicky Lau is a fascinating and remarkable chef. She was named Asia’s Best Female Chef 2015.The Tate Dining Room and Bar is the place where she blends her love for the culinary arts, her design sensibilities and her inspirations to create « Edible Stories ». She’s also earned a Michelin star every year since the restaurant opened in 2012. Vicky Lau was born in Hong Kong, she went to the US when she was 15 to a boarding school in Connecticut. Afterwards she graduated in Graphic Communications from New York and worked in an agency for a while as a creative director. She went back to Hong Kong to start up a project with her sister but it didn’t quite work out. At that time two of her friends were applying to the Cordon Bleu in Bangkok, she joined them. At first it was only for three months and it was a recreational excursion but she stayed there for nine months and finished the grand diploma. This will set her on a path to pursuing her fascination with food as a platform for her artistic expression and creativity. She was curious about how a fine dining restaurant worked and went to Cépage where she gained a strong reputation as one of Hong Kong’s rising chefs. 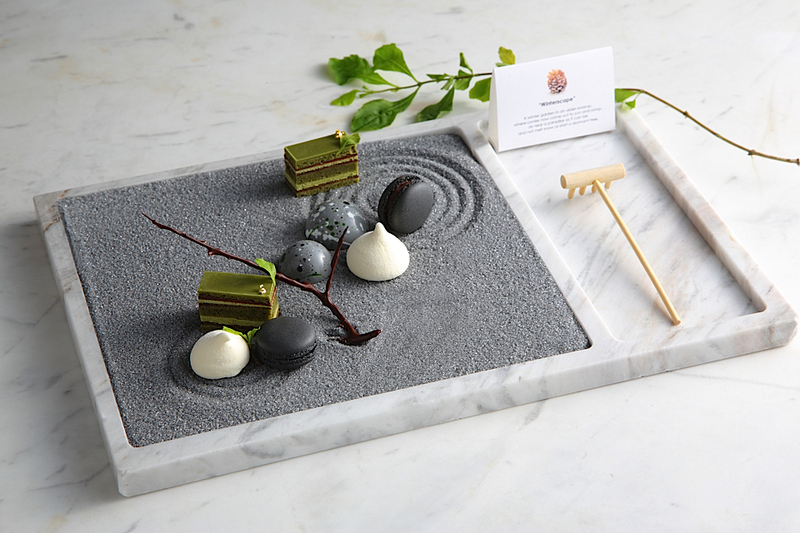 Lau creates dishes with a story in mind.She wants to create food landscapes that nourish the soul.« Through the ‘Zen Garden,’ I hope my customers will reflect and ponder on things at the end of their meal .» Plated like a real Zen garden, the matcha dessert comes with a little rake and gravels made of sugar.The amazing details are echoing the real tools and material used to create calming patterns in an actual karesansui. 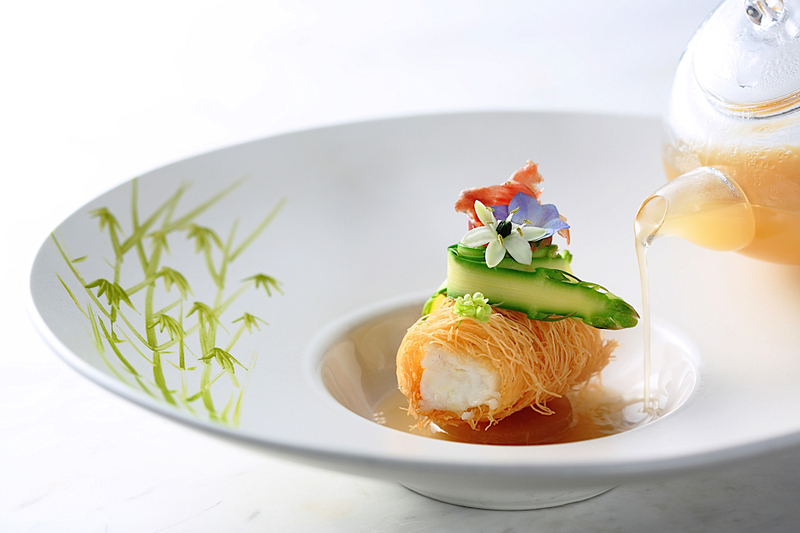 This dish is the result of a tea ceremony Lau witnessed during a trip to Kyoto, Japan a few years ago. 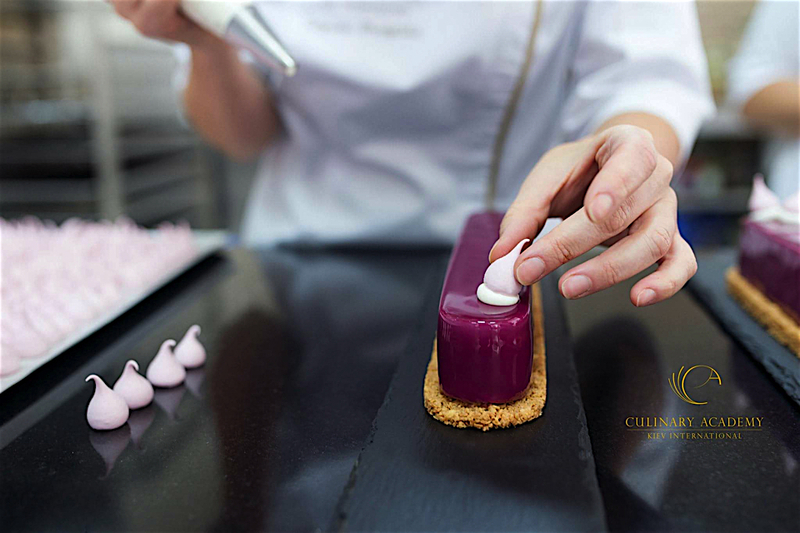 Her food is described as « an eclectic mix of French and Japanese influences » in the Michelin’s guide.Her visual presentation skills in creating « Edible Stories » take guests on a journey while they eat, something referred to as culinary expressionism. SOHOFAMA’s goal is to raise awareness for healthier living through serving good, chemical-free food, including locally grown ingredients and organic ingredients to support the body. 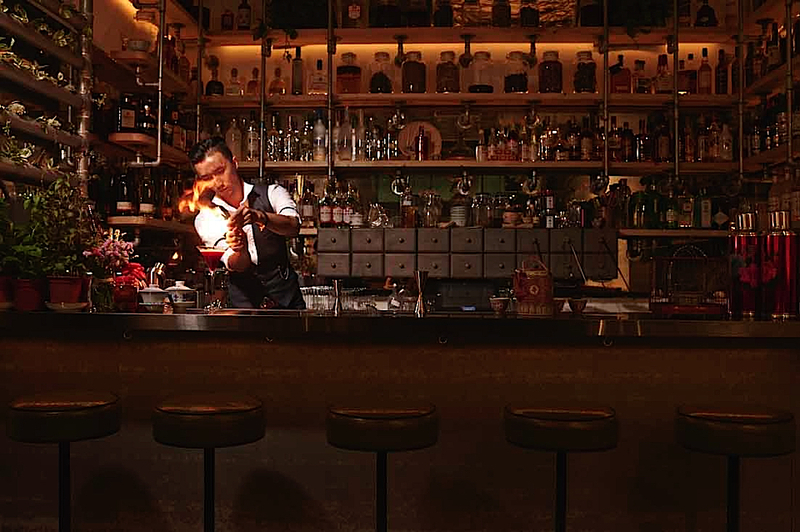 The menu is balanced to reflect both the old and the new with some dishes reflecting childhood favorites, while others celebrate the multiculturalism of today’s Hong Kong society in dishes, and absolutely no Monosodium glutamate or chicken powder. Instead freshly grown herbs for taste and slow cooked chicken broth to fully enhance flavours. Chef Shing has over 20 years of experience in Chinese cooking with a specialization in Shanghainese cuisine. He first commenced his trade at the age of 16 and has since been mentored by some of the best Chinese chefs in Hong Kong. 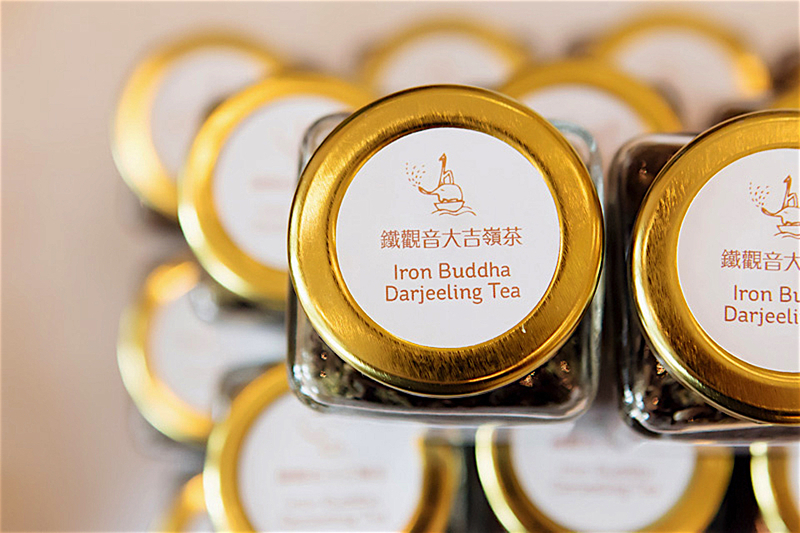 For the past 8 years, Chef Shing was the Head Chef of famous Liu Yuan Pavillion, well known for its rich history and widely considered as one of the best quintessential Shanghainese restaurants in Hong Kong. The term ‘farm to table’ is quiet familiar lately, Sohofama have done the opposite: they brought the table to the farm.Their mini farm is the outdoor garden area of the restaurant, where they are currently starting to grow their own vegetables, in pots, along walls, on trolleys… The hope is that this edible garden will help people to think more about where their food comes from, and maybe inspire them to also start their own urban farm or garden. 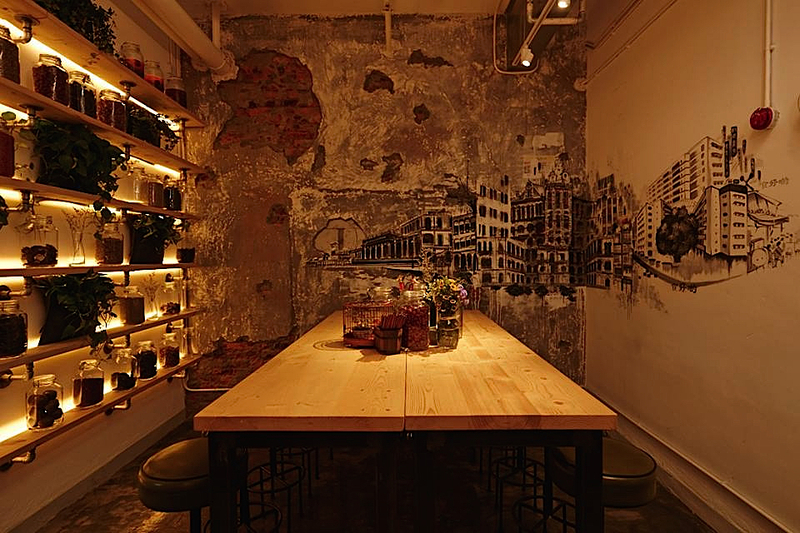 SOHOFAMA is where urban farming meets comfort Chinese cuisine for the Hong Kong of today. TRENDxCHANGE-editions are inspired by the local area, working with their community to showcase the cities we visit. 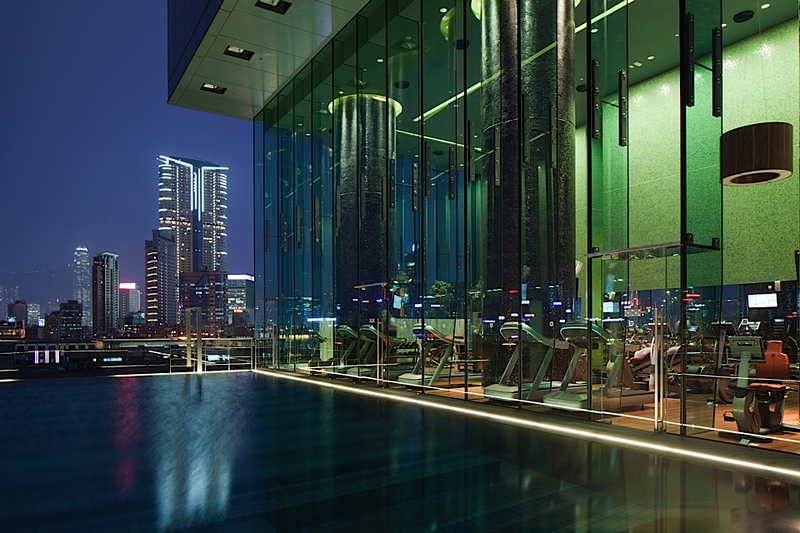 After a successful launch in London, Paris and Amsterdam, the next stop is Hong Kong’s Hotel ICON. TRENDxCHANGE explores the future of food with experts on the cutting edge of their trade. Our editor Cecile Poignant will be in Hong Kong and will have the pleasure to welcome several guests : Vicky Lau (Tate’s Michelin-starred chef), Dr Lin (City University), Veronica Yu (Eating Concept Designer), Larry Tang (Founder Sohofama|Locofama) for a thought-provoking presentation, roundtable discussion, drinks gathering, and idea exchange. 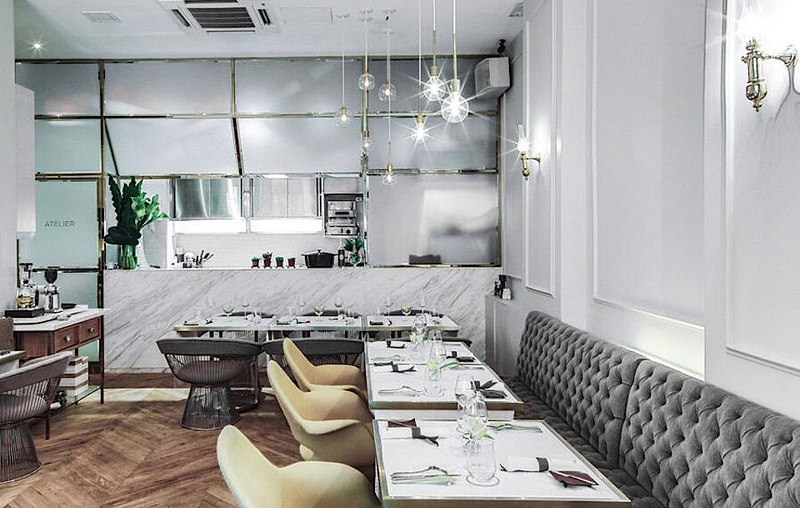 Vicky Lau – Tate Dining Room, chef and owner. 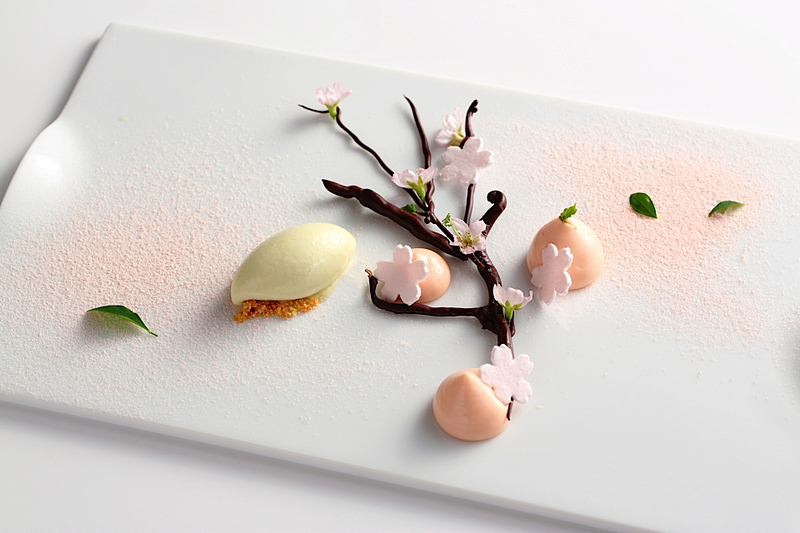 Michelin says it all: « Vicky Lau is the young owner-chef of this contemporary yet also quite intimate restaurant. 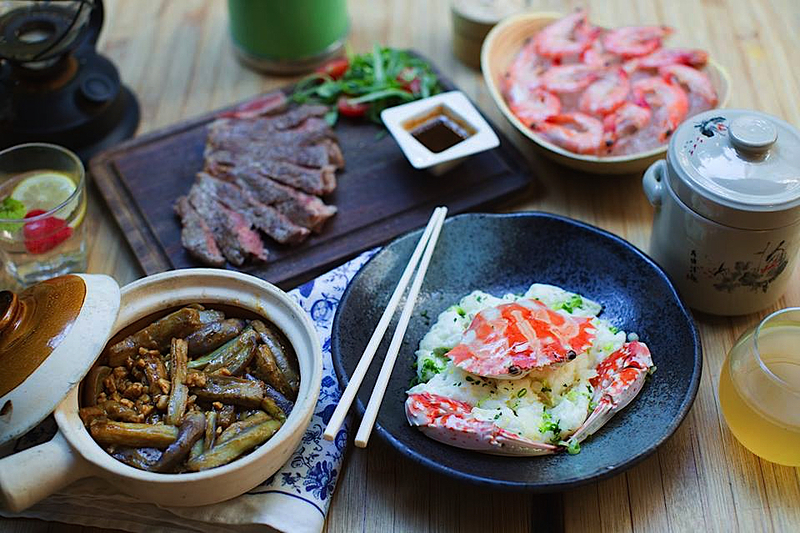 Her cooking is an eclectic mix of French and Japanese influences and each dish is beautifully presented – a reflection, perhaps, of her previous career as a graphic designer. » 1 Michelin-star 2016. Veronica Yu – Eating Concept Designer. 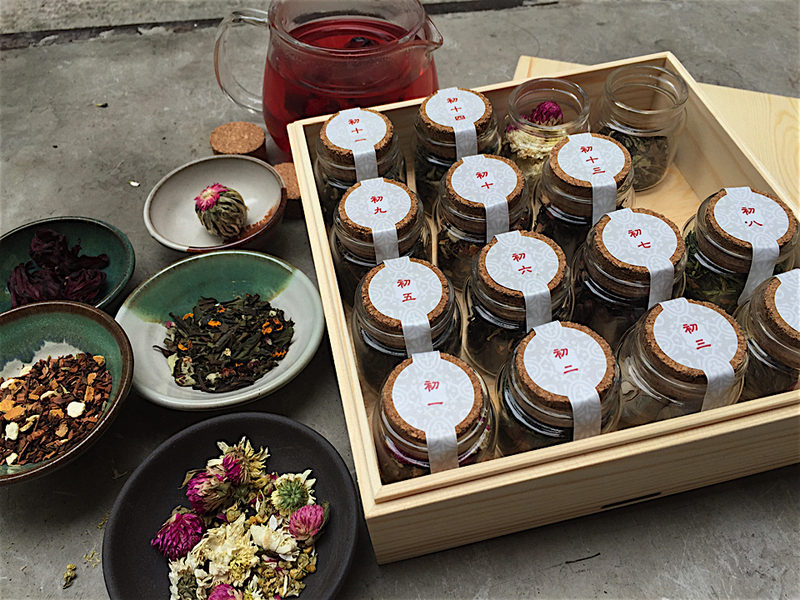 Veronica has worked on old-meets-new/east-meets-west food concepts such as a Chinese New Year Tea Almanac Box and a Soy Sauce Tasting dinner with local soy sauce makers. Dr Carol Sze Ki Lin, City University. 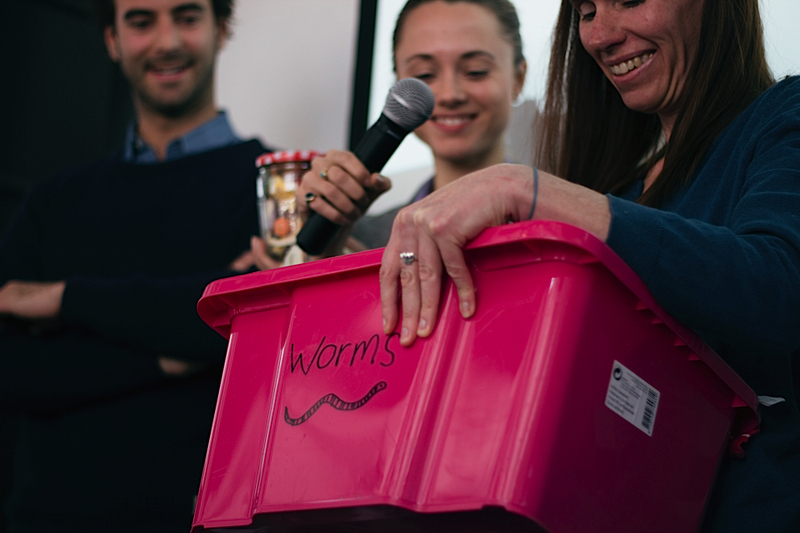 Her research team has recently successfully converted food waste into fibre. The new material can be used to manufacture textile and apparel products! 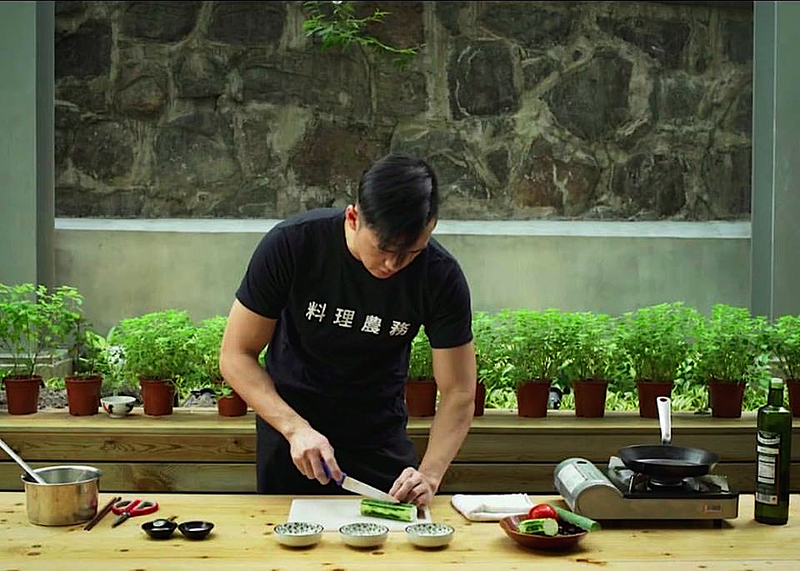 Larry Tang – Founder Locofama|Sohofama, Locofama has played a role in changing the city’s perception of what it means to eat clean and the importance of knowing where your food comes from. They try to grow their own vegetables as much as possible and bring locally grown produce directly from farmers to keep costs under control. Did you know: Sohofama’s soups are inspired by Chinese doctors? Join our creative community in Hong Kong at the Hotel ICON on Thursday July 21, 2016 at 6.30 pm. 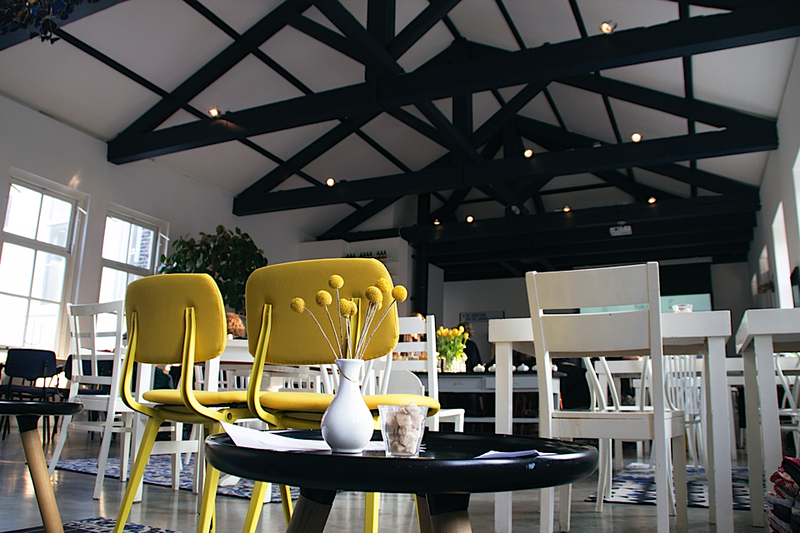 Foodies and design lovers are welcome. 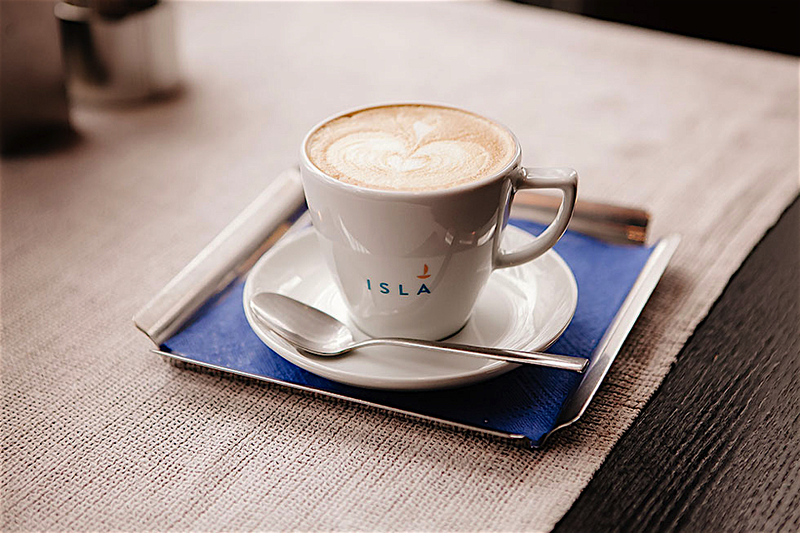 We’ll provide the conversation, Hotel ICON the drinks —you just bring the brains! 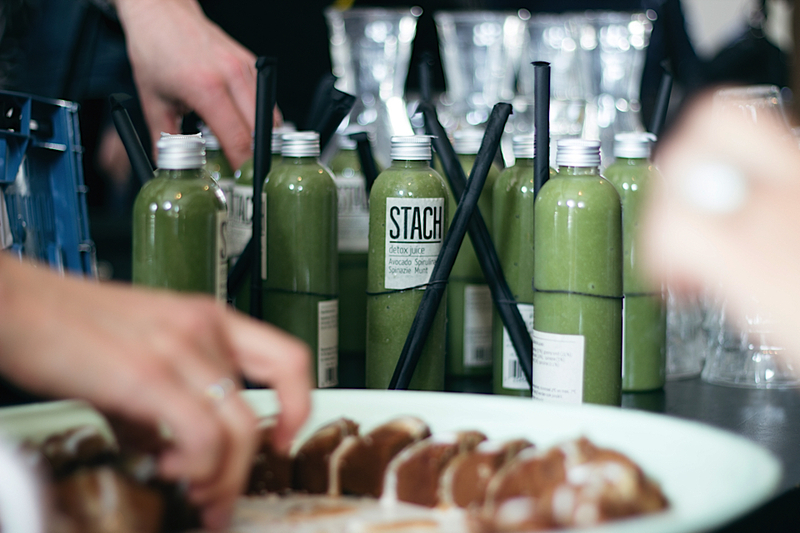 Next week we will be live in London at The Hoxton, Shoreditch to share with you FOOD FUTURE. Join us! FOOD FUTURE provides access to brainstorming on major food trends, allowing participants to interact and find insights and new ideas. 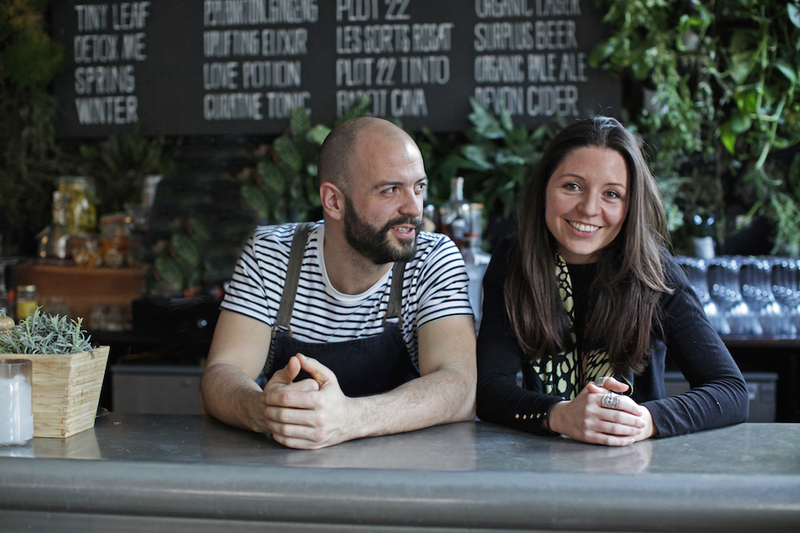 Alice Gilsenen, one of the co-founder with chef Justin Horne of Tiny Leaf a recently opened restaurant in Notting Hill. The team want to revolutionize vegetarian dining and promote the concept of zero-waste restaurants. 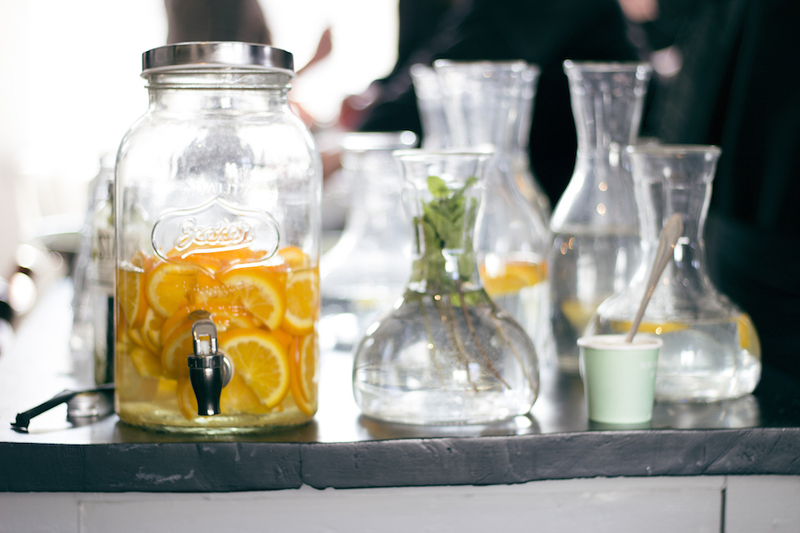 All food is donated by different partners, the furniture is reclaimed, they compost coffee waste, use apps to share leftovers, host talks… On four floor you can eat, drink botanical cocktails, speak and dance, all with style! 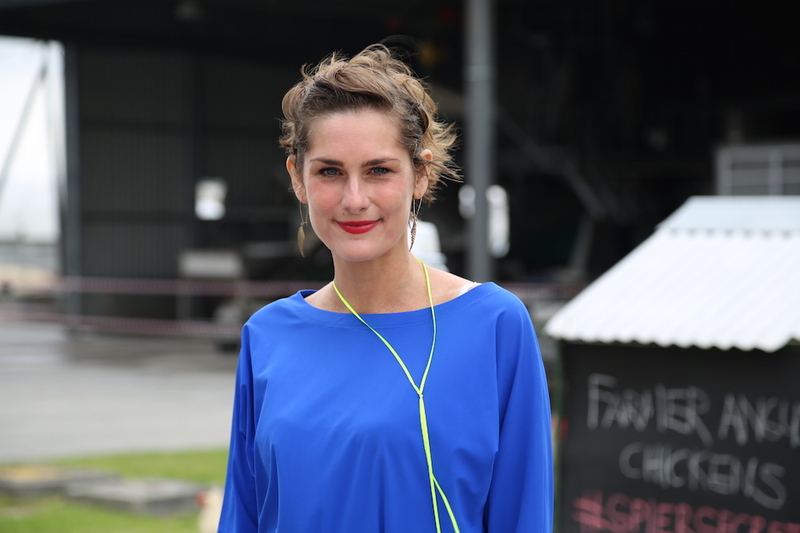 Anne Charlotte Mornington, Olio’s community manager, will join us to share the story of this new exciting startup. 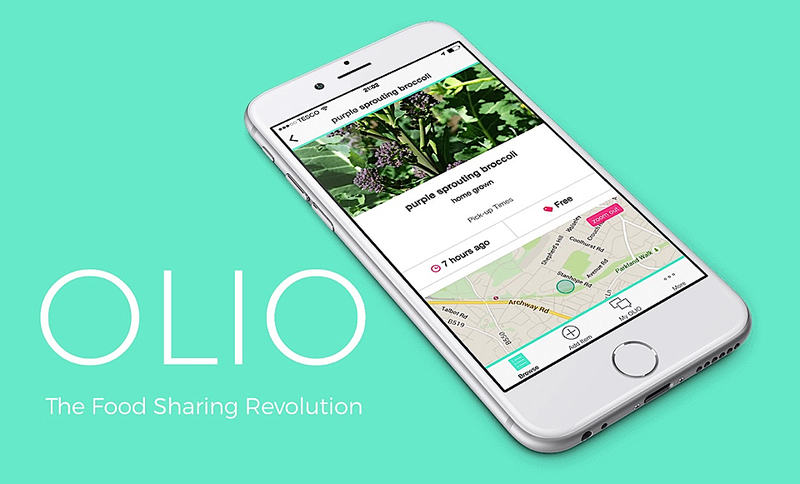 OLIO is a free app which connects neighbours with each other and with local shops and cafes so surplus food can be shared, not thrown away. To make food available,you just need to open the app, add a photo, description, price (if applicable), and when and where the item is available for pick-up. 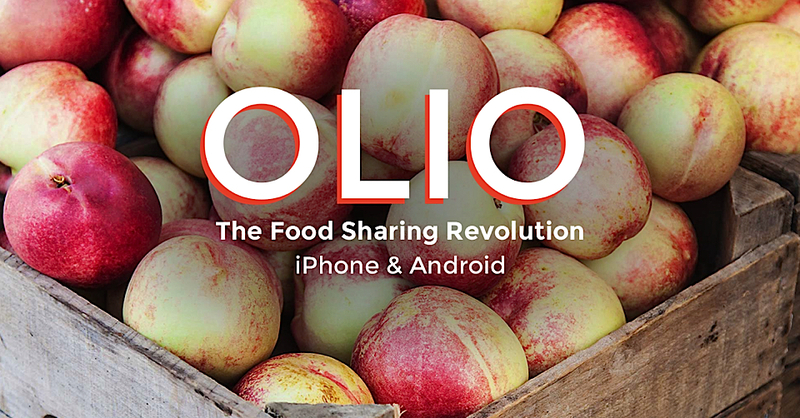 This super easy App is starting a food sharing revolution and becoming very popular. 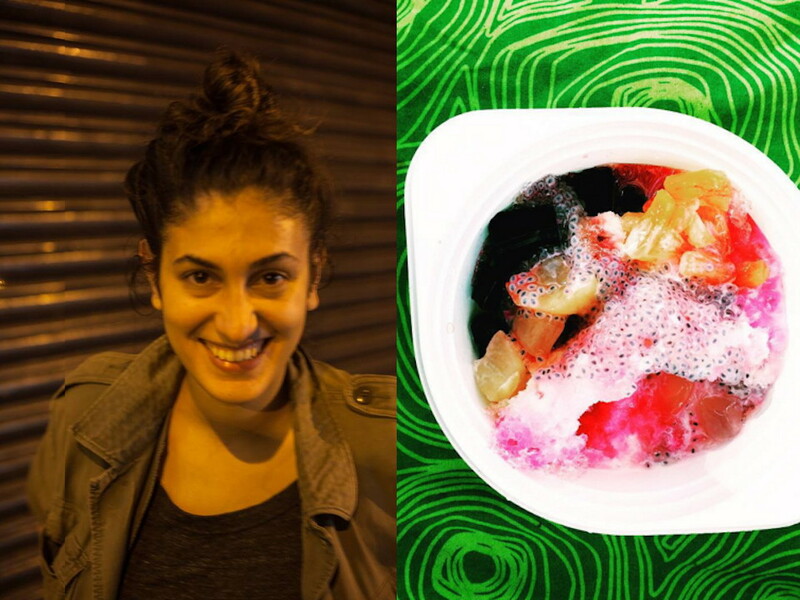 Aida Baghernejad,our third guest, is investigating the relationship between the creative industries, food and migration in the UK and Germany. She is a journalist and a food blogger, for her food is a merger field. 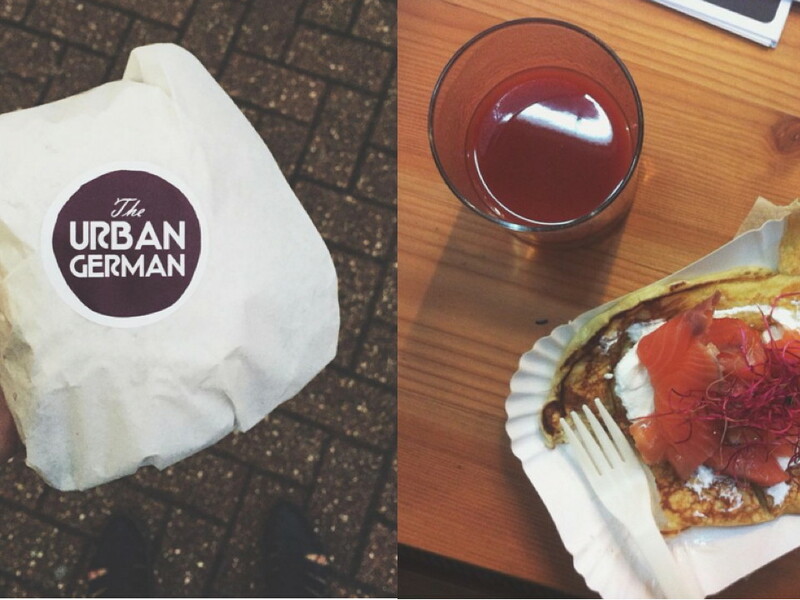 She lives between Berlin and London where she is doing a PhD on Street Food. 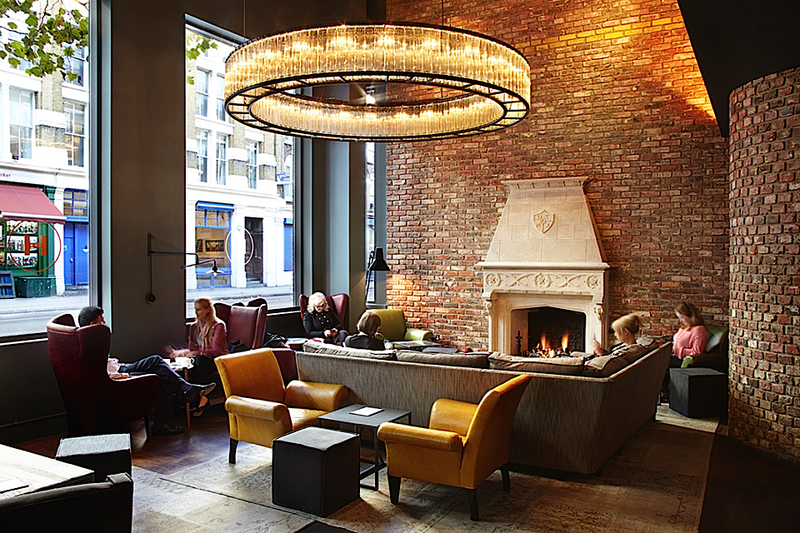 The next TRENDxCHANGE takes place in London at The Hoxton, Shoreditch , one of the coolest hotel of the city. 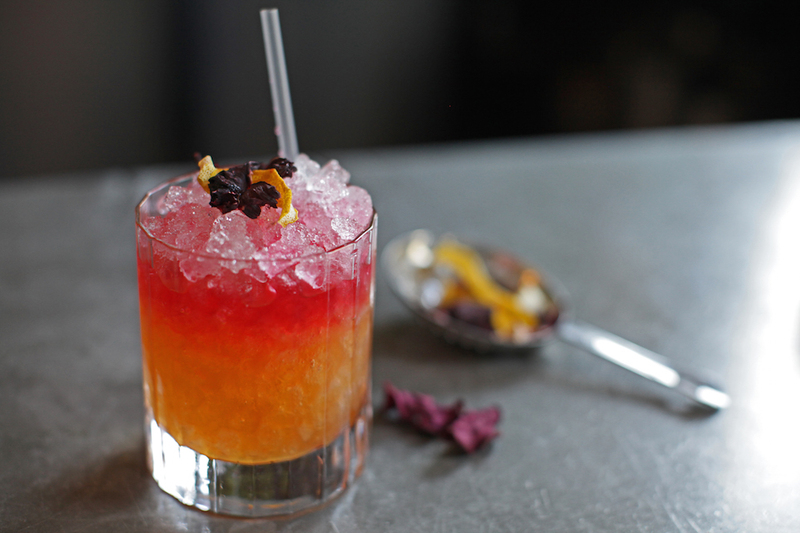 The Hoxton has been on the Shoreditch scene for a while now, and like the area they occupy, their style has developed and evolved over time. 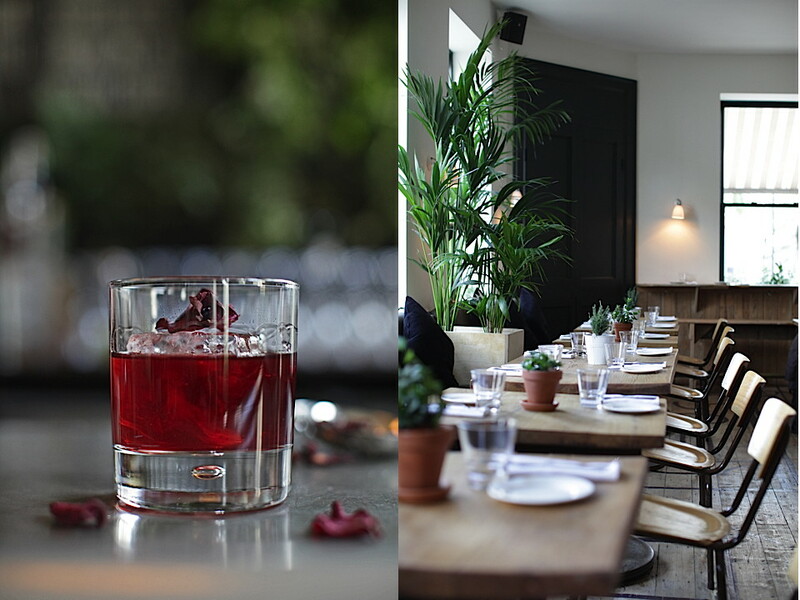 For our event The Hoxton, Shoreditch kindly provide us ‘The Apartment’, their cosy and unique events space designed with a homy feeling. 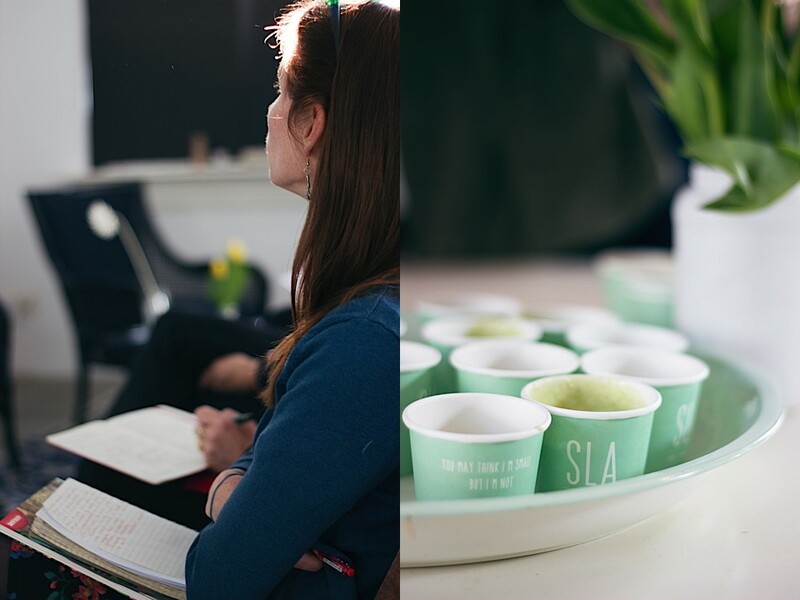 Come join our active and creative community in London at The Hoxton, Shoreditch on Thursday March 31 st at 6.30 pm ! 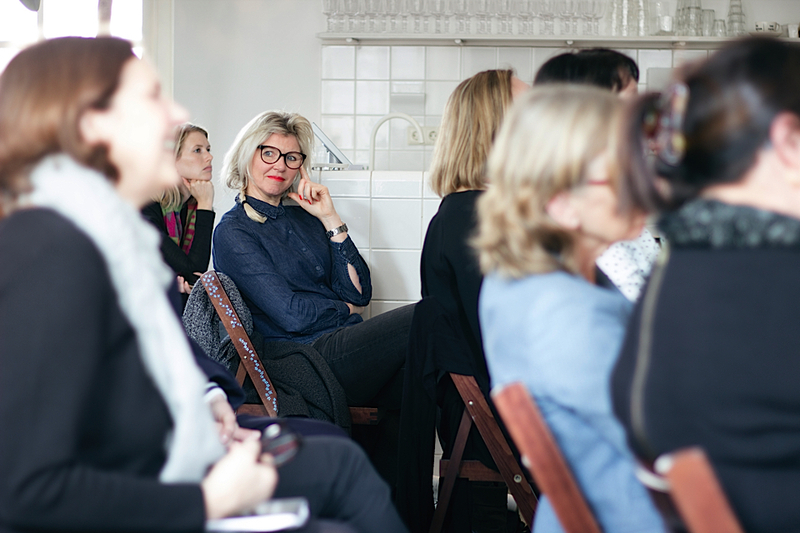 “I love change,” said Trend Tablet editor Cecile Poignant with a smile, at yesterday’s TrendxChange event in Amsterdam. 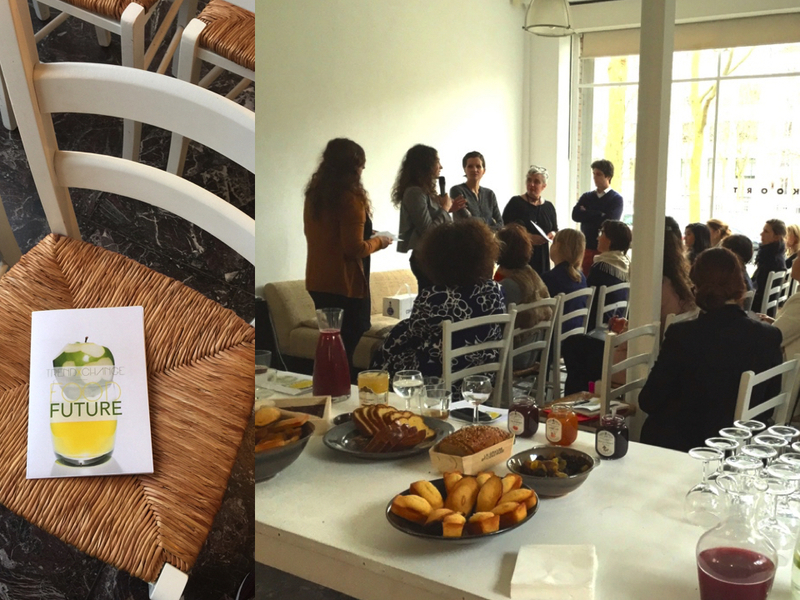 It was an uplifting beginning to a morning spent talking about ‘Food Future’, the title and theme of the event, which was on its second edition after a successful launch in Paris earlier this year. Jointly conducted with Lidewij Edelkoort’s trend forecasting agency, Trend Union, these events are all about looking forward, in the attempt to better understand the world in which we will be living tomorrow. The theme ‘Food Future’ was chosen for its current global relevance. It seems that everywhere you look, there is a sense that people are more interested than ever in what and how we eat. Just look at the Expo Milano 2015, which is entirely built around the theme of ‘Feeding the Planet’. 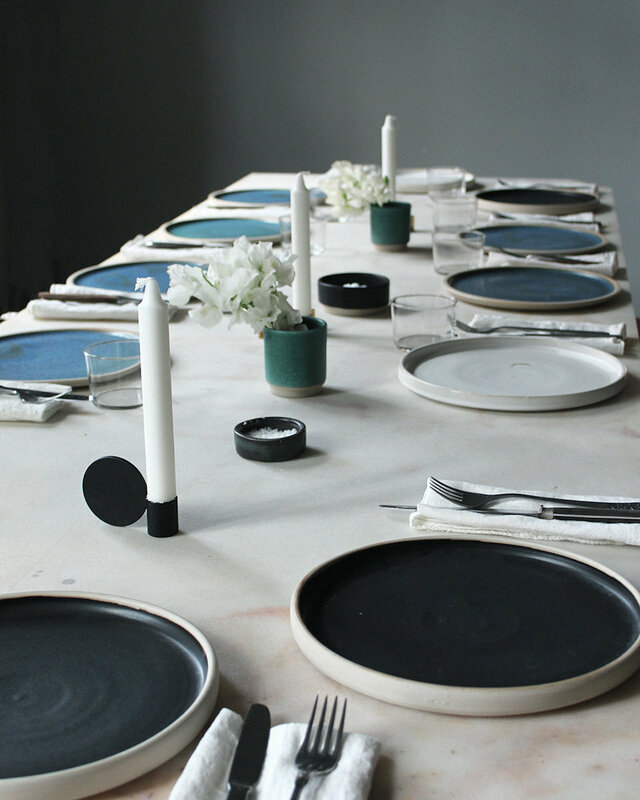 In an example closer to home, last year saw the Design Academy Eindhoven launching a new design department called Food Non Food, headed by WDCD2013 speaker and eating designer Marije Vogelzang. Vogelzang herself was scheduled to make an appearance at Food Future, but had to cancel due to illness. Still, there was enough to stay for with Poignant presenting four primary food trends we can expect in the next 5 to 10 years. The first trend she outlined was that of our longing to go back to basics when it comes to food. Like many trends in society today, this nostalgia for the elementary and imperfect, can be explained as a reaction to our increasingly intangible, digital lives. “We are looking for texture, for touch, we want to feel things in our hands,” says Poignant, showing as an example Studio Formafantasma’s range of irregular tableware made of natural materials. In a similar way, farming is about to have a big comeback. 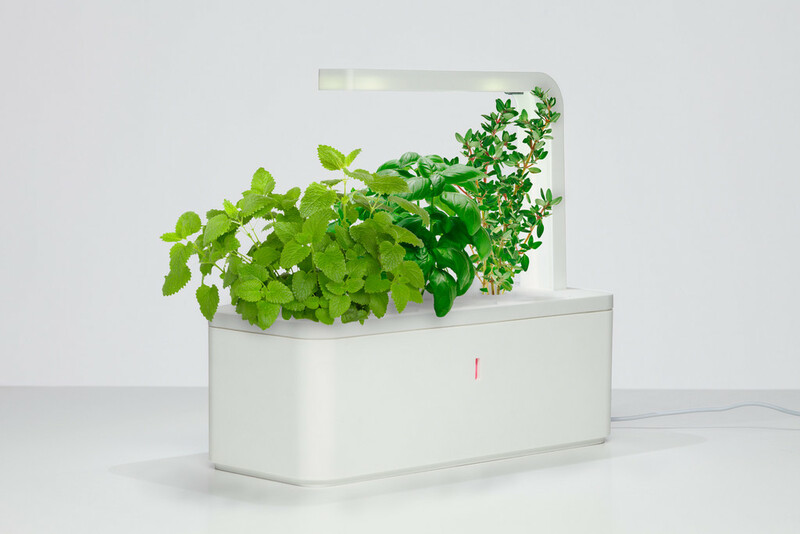 But this trend comes from a more practical necessity: as more and more of the world’s population live their lives in cities, urban farming will not only become fashionable; it will become very important. 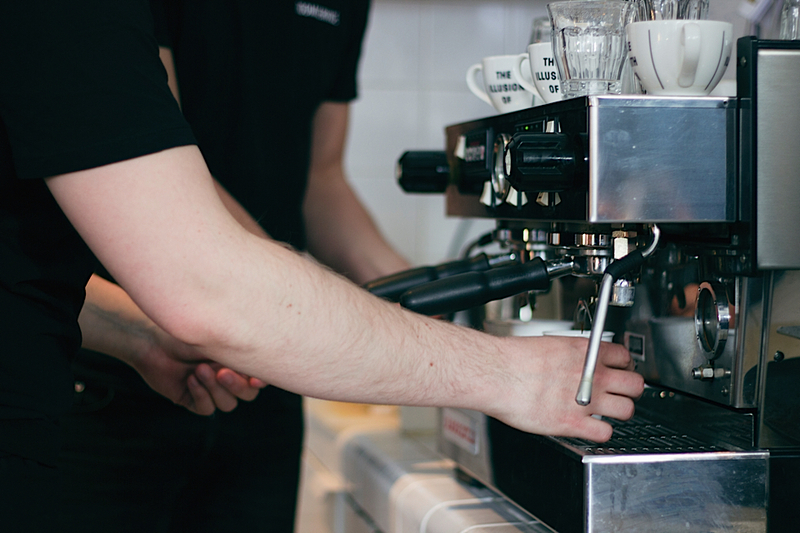 This trend will see a change in consumer behaviour; as people become involved in their food cycle, and interested in where and how their meals are made. At the same time, Poignant explains that we will be looking for a new intimacy and sexuality in our relationship with food. As with all of these trends so far, I realised that the common thread in this is our desire to go back to beginnings – whether that be of our food or of our own selves. And what is more human than wanting to have the forbidden? 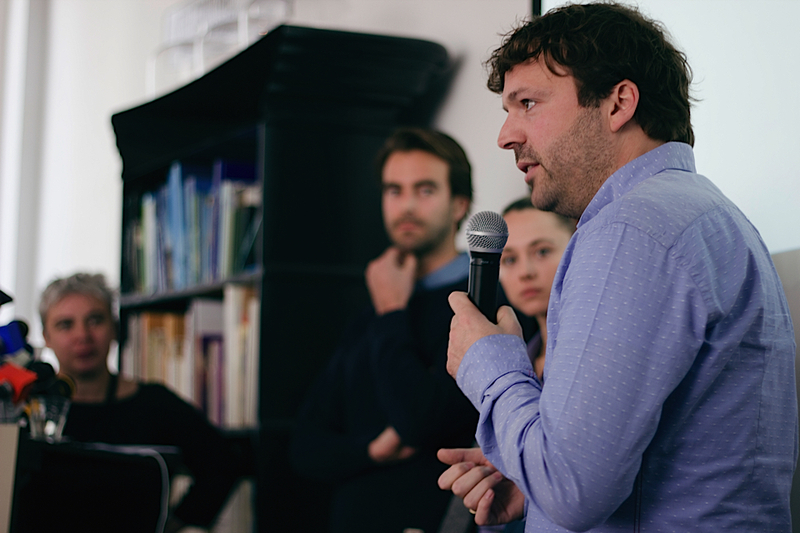 The presentation was closed with a short question and answer round with food entrepreneurs from Amsterdam-based start-ups SLA, Cityplot & Stach. They spoke of local and real-world applications of the trends talked about, and their own takes on food future in Amsterdam & the Netherlands. Originally published in "What Design Can Do"
The next TRENDxCHANGE will take place at Hotel Droog, one of the nicest place in Amsterdam. 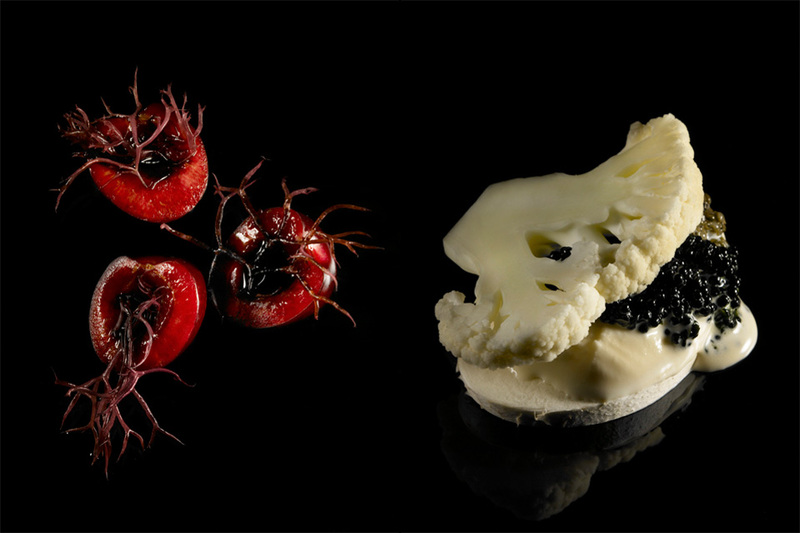 « Food Future » explores four main themes of the future as different paths to explore.Food is a complex and epidermic subject. What we eat is influenced by society, geopolitics, beliefs, history, art, marketing, biology… Eating is not just feeding.It’s about feeling emotions, remembering and also discovering, traveling, sharing…The keynote will be presented by Cecile Poignant - Trend Tablet’s editor. Our special guest will be Marije Vogelzang - an iconic character in the ‘food world’. 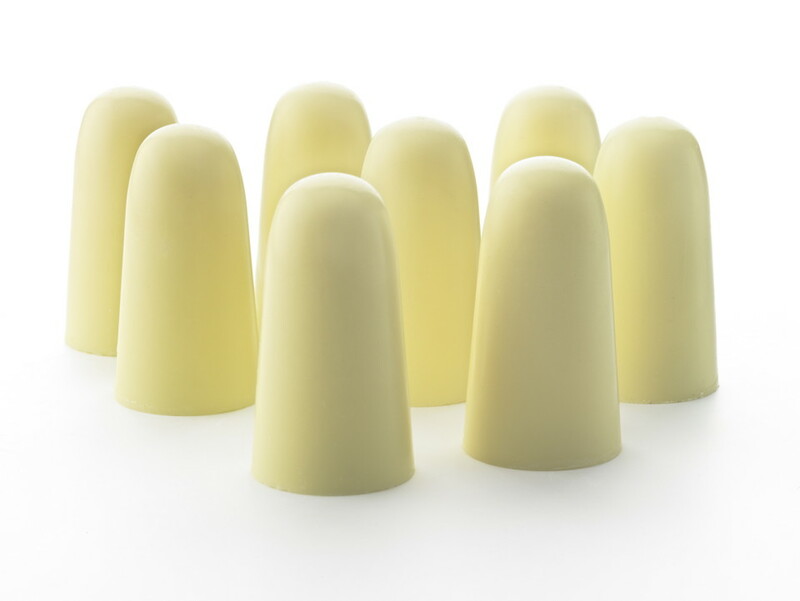 Designers who work with the subject of food are often called ‘food designers’. 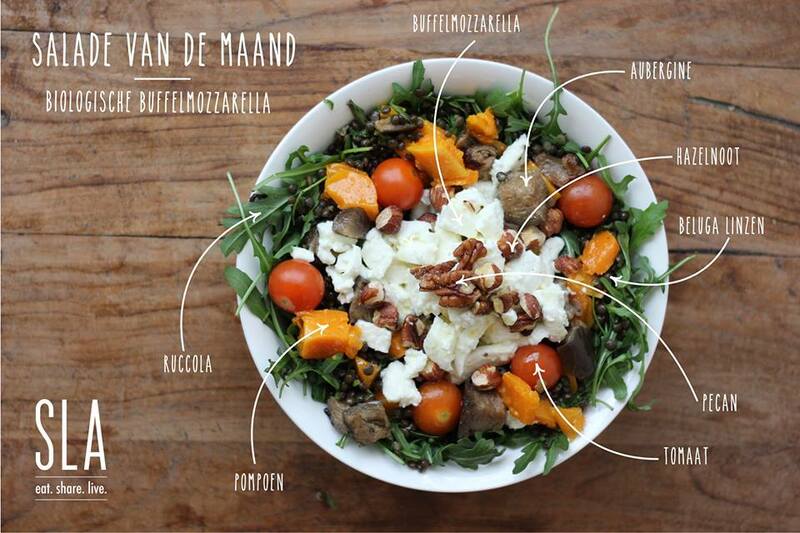 According to Marije Vogelzang, food is already perfectly designed by nature. 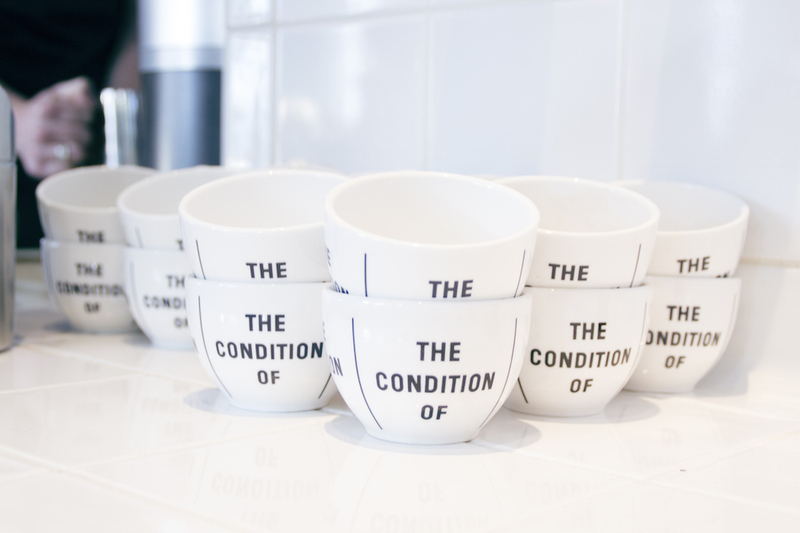 Instead, her designs focus around the verb ‘to eat’. 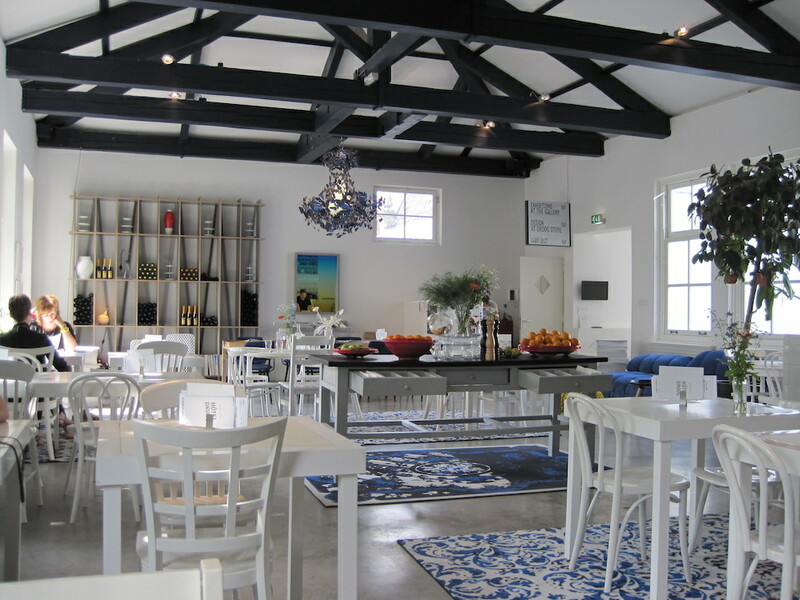 Vogelzang is inspired by the origin of food and the preparation, etiquette, history and culture around it. For this reason, she doesn’t consider herself a ‘food designer’, but as an ‘eating designer’. 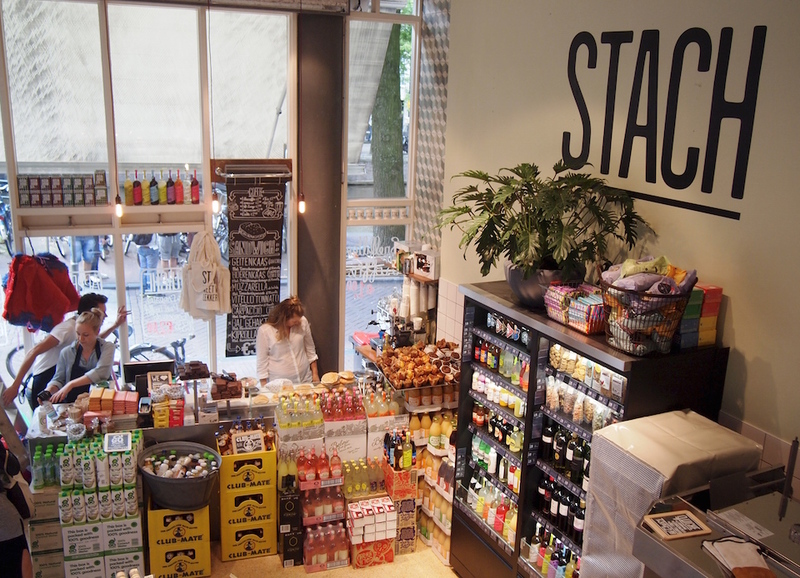 Stach Schaberg who opened a first store in Amsterdam in October 2011, now his shops are spreading across the city with six different locations! It’s a delicatessen concept where you can get fresh ready-made meals. You can either take away your lunch or eat in the shop. Healthy, tasty and friendly. 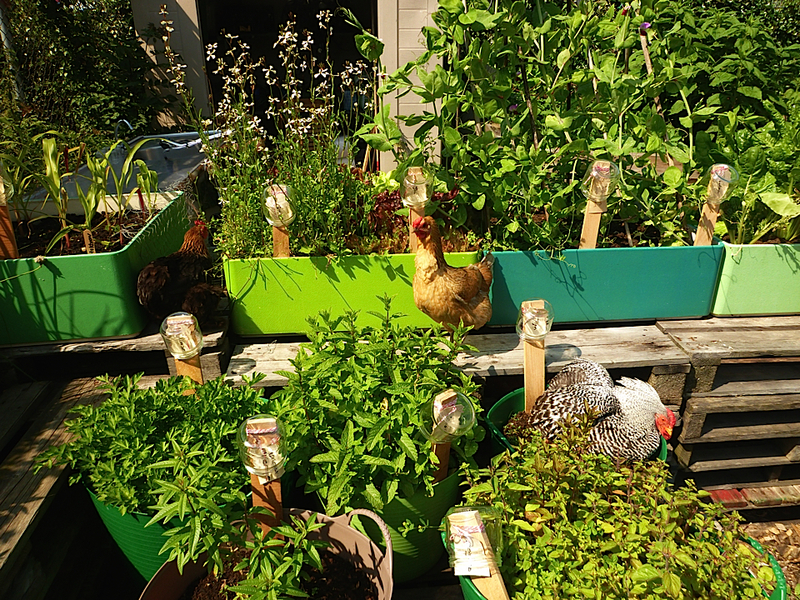 Cityplot, is an urban farming collective based in Amsterdam. They dream of a new wave of greenery in cities worldwide, creating a sustainable lifestyle and community alike.They encourage and educate city dwellers how to grow their own vegetables, herbs, edible flowers, micro-greens, fruits and berries or even how to keep chickens in the city. SLA is an organic salad bar. Behind this are Nina, Jop and Ida. 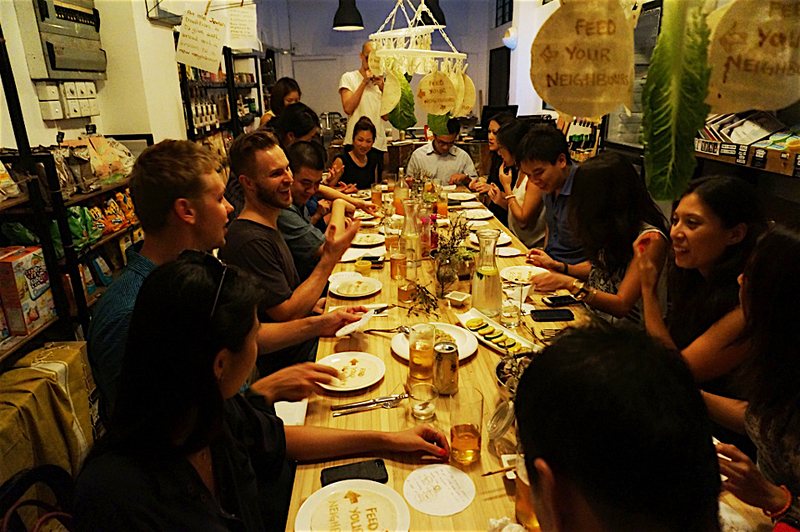 They call themselves « experimental eaters gifted with a knack for entrepreneurship ». 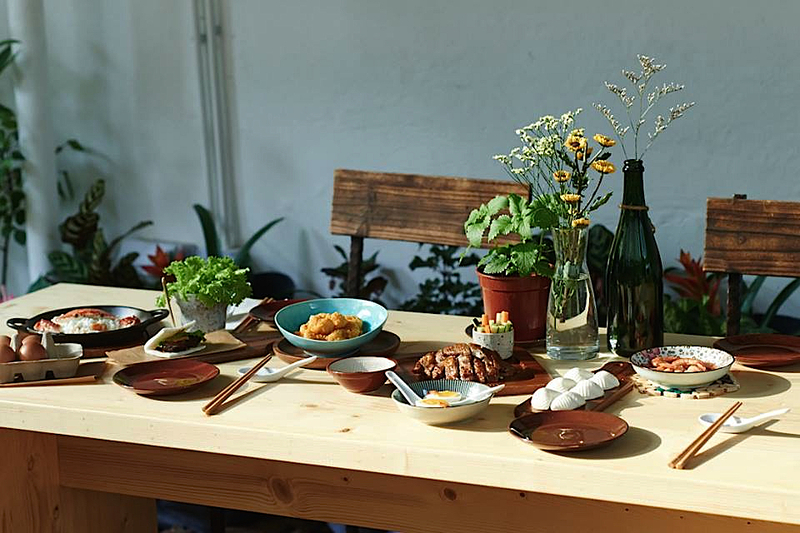 Their mission is to invite you to see, taste and experience how good food can change your life.They also have a LAB : an open space where you can learn more through talks and workshops by doers and dreamers from the world of good food. Join us on April 9th , we still have a few sits left! 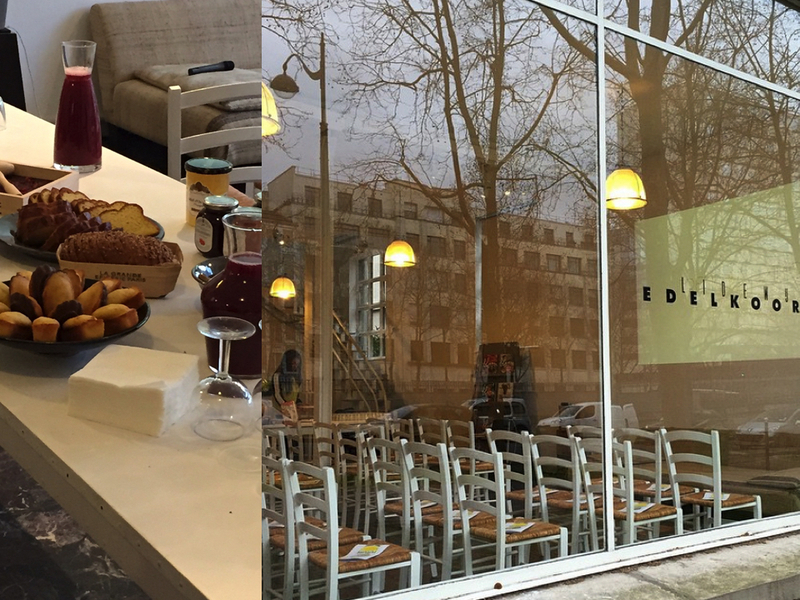 After our premises in Paris we are excited to come to Amsterdam ! TRENDxCHANGE is a new type of event, jointly conducted by Trend Union, international forecasting agency, and Trend Tablet, an inspiring web platform. A major theme is treated twice a year, to better understand the world in which we will be living tomorrow. « Food Future » is the first theme with which we are dealing. Cecile Poignant - Trend Tablet's editor- shares with you her views on primary food trends linked to feeding and change in behavior. What will be the key foods of tomorrow? Is food a drogue ? 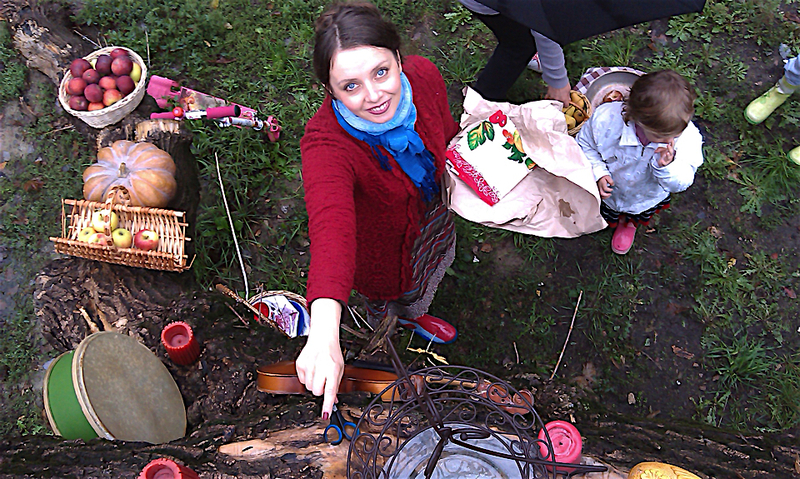 Will we all become « locavores » - consumers of locally grown produce only? TRENDxCHANGE on « Food Future » will take place on April 9th at 8:30 a.m.at Hotel Droog. TrendXChange will be held in English, you can book your ticket for 30€. The first TRENDxCHANGE in Paris was GREAT ! 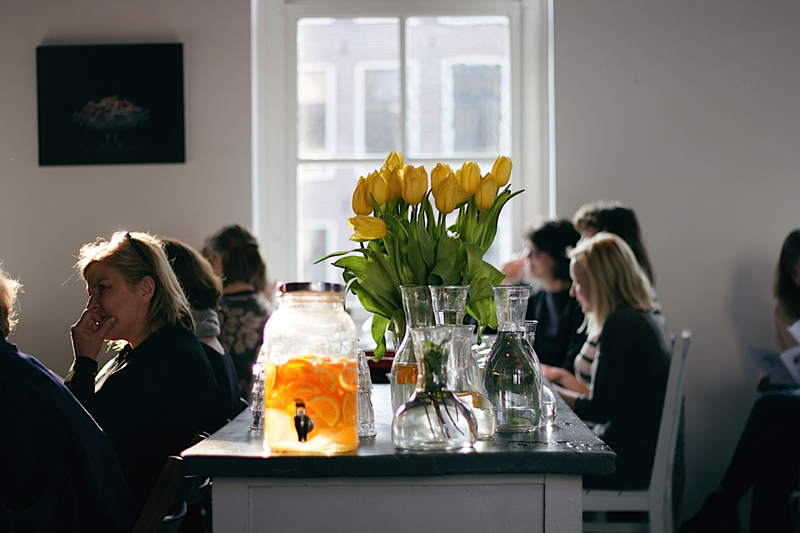 Thanks to all the participants we had been talking, sharing, exchanging and … eating. Here are some of the ideas & products we featured during this program with some keywords as a reminder. Country side,good food, imperfection, new rustic, gathering and hunting, sustainability, zero waste. 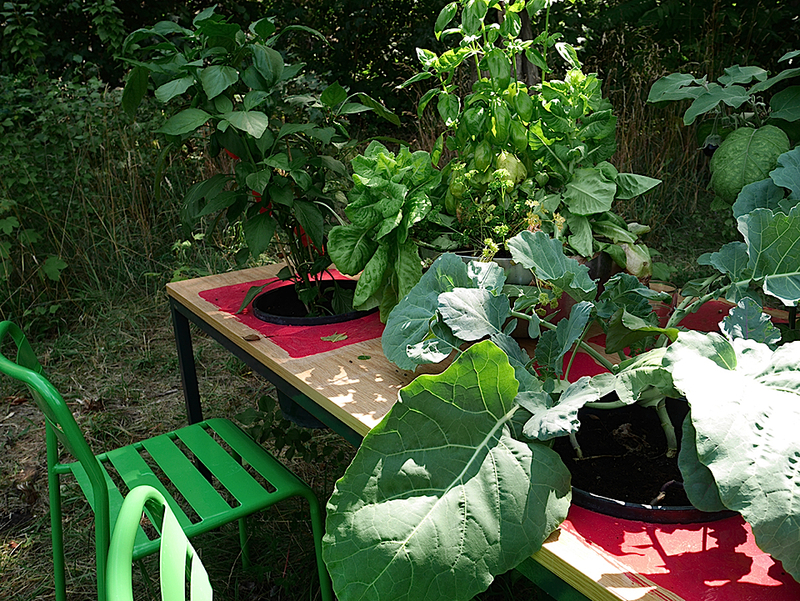 Urban agriculture, locavore, energy, detox, well being, gardening, landscape. Sexual, intimate, appetizing, forbidden, dangerous , experiences, synesthesia. 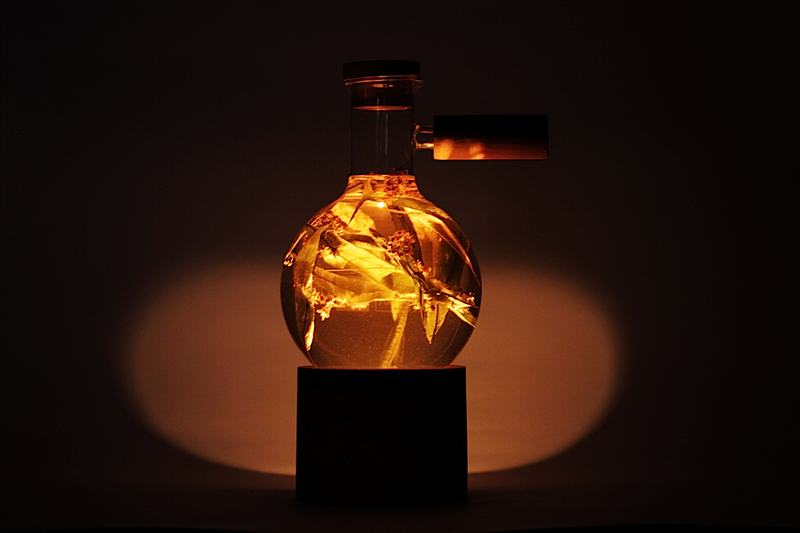 Technologic, experimentation, foaming, layers, textures, alive, nanotechnology, bacteria. If you have any question, feel free to contact us ! A major theme will be treated every 4 months, to better understand the world in which we will be living tomorrow. TRENDxCHANGE will provide access to brainstorming on major trends, allowing participants to meet entrepreneurs, artists and talented creators, selected with utmost care. The compact, dynamic format is voluntary - approximately 90 mn – including, of course, a moment for networking at the end of the event. Two sessions will take place the same day: in the morning at 9:30 a.m. and in the afternoon at 5:15 p.m. Both in french for 30€. In « Food Future », the first theme with which we will be dealing, we will share with you our views on primary food trends linked to feeding and change in behavior. What will be the key foods of tomorrow? Is food a drogue ? Will we all become « locavores » - consumers of locally grown produce only? 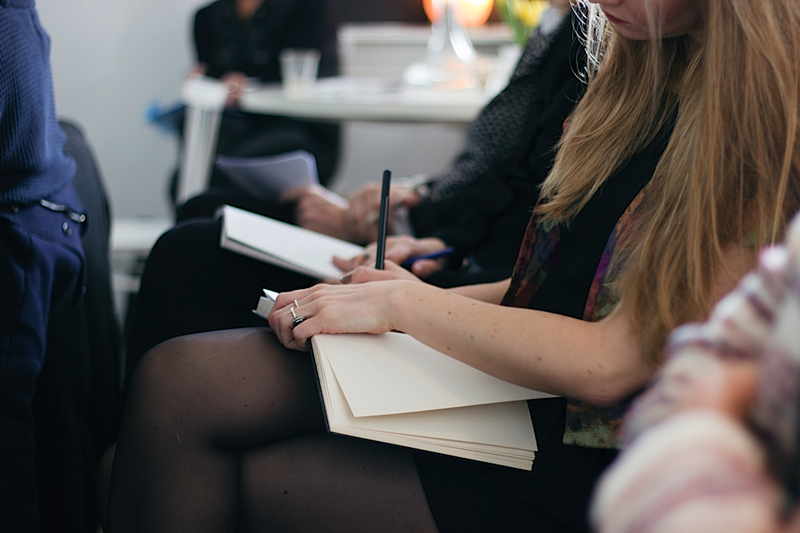 Come join our active, creative community, first at our premises in Paris, then in other cities….